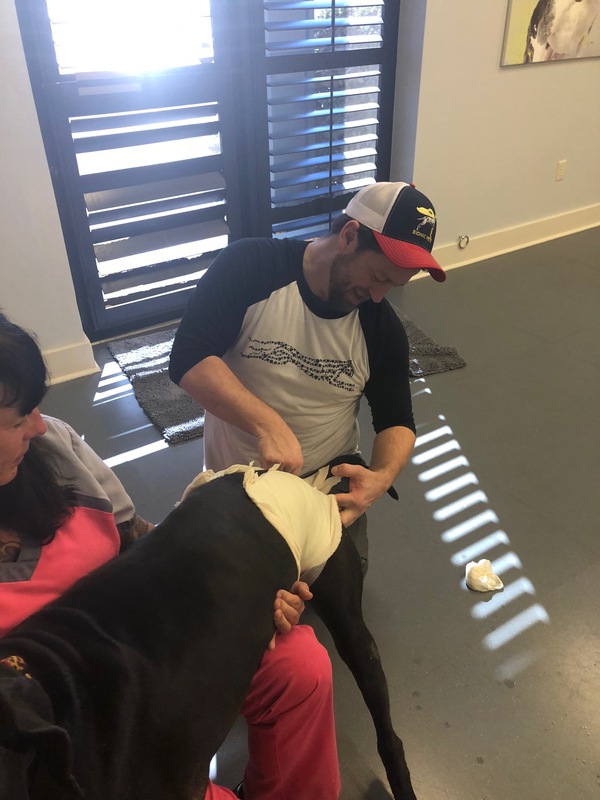 GREENWOOD, SC.....I hope everyone had a very special Thanksgiving surrounded by Friends and Family. 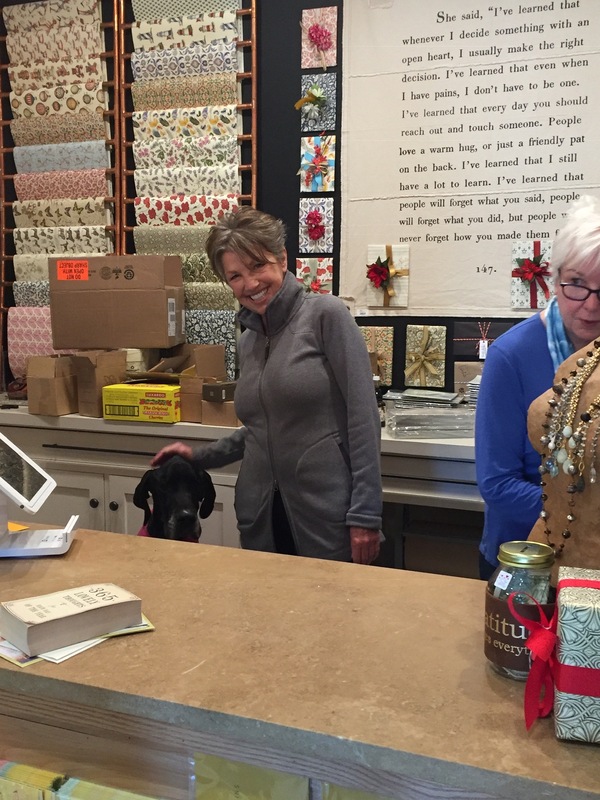 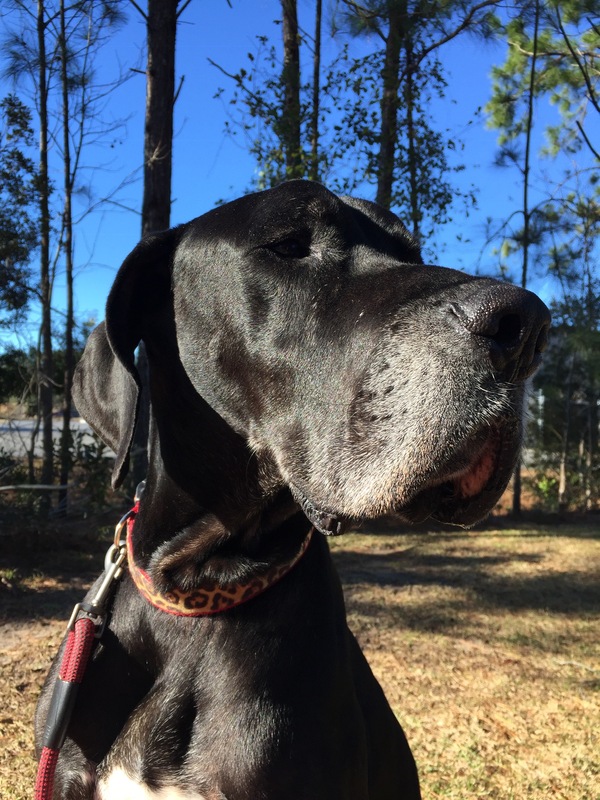 Thanksgiving through New Years is a terrible time for our four-legged Family Members. 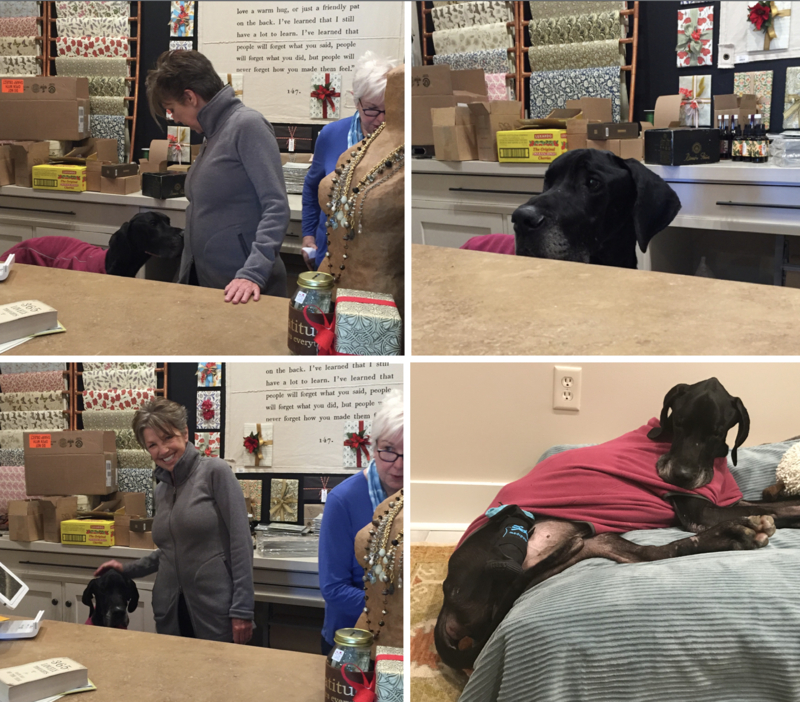 Please, remember to check on your neighbors and friends to make they have food, clothing and a warm home during this time of year. 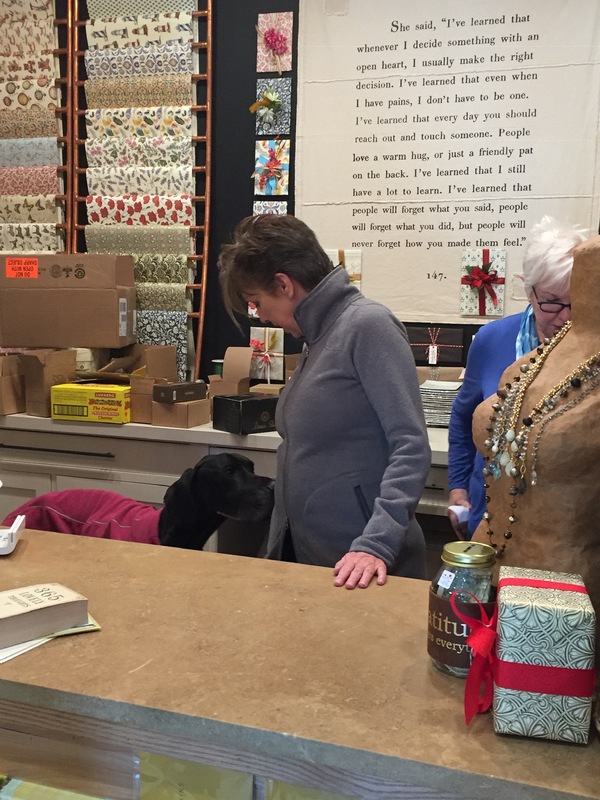 Pride keeps people from reaching out for help. 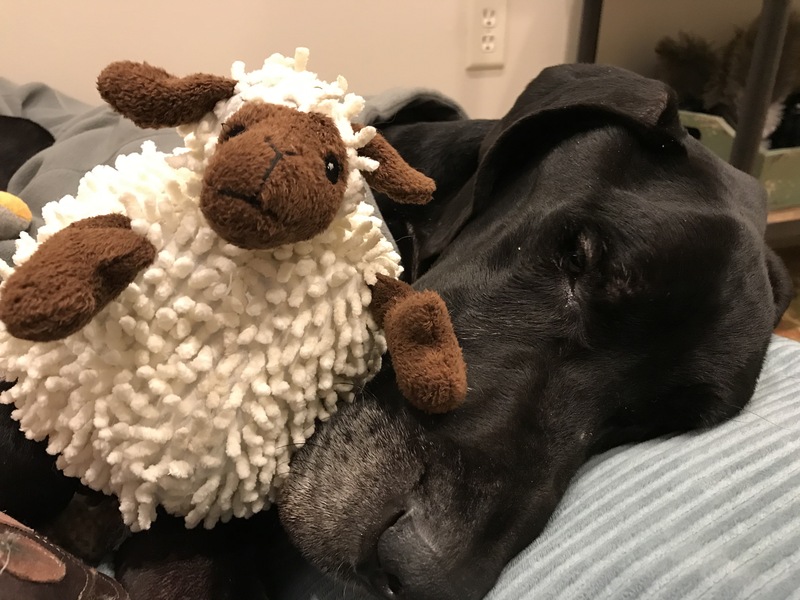 Be the best Friend possible by being there for others. 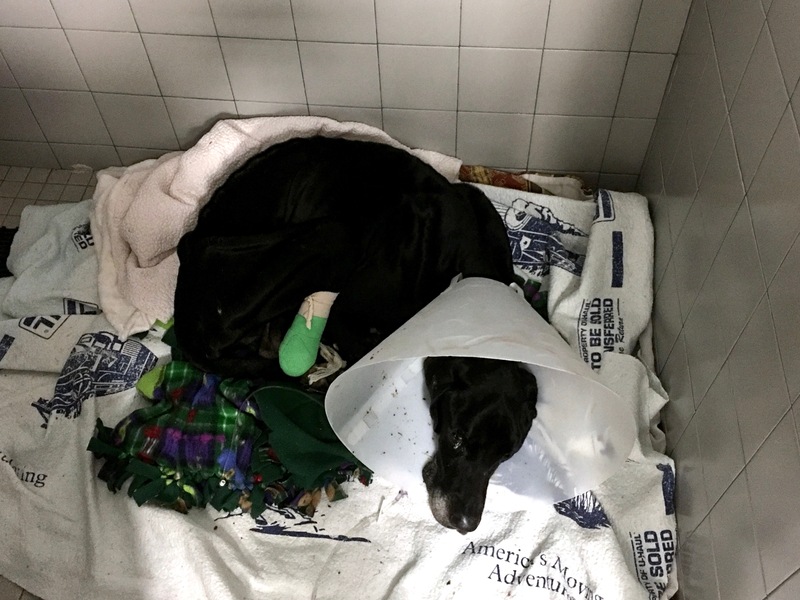 Sadly, Holidays do not prevent Evil from inflicting pain and suffering on Man's Best Friend. 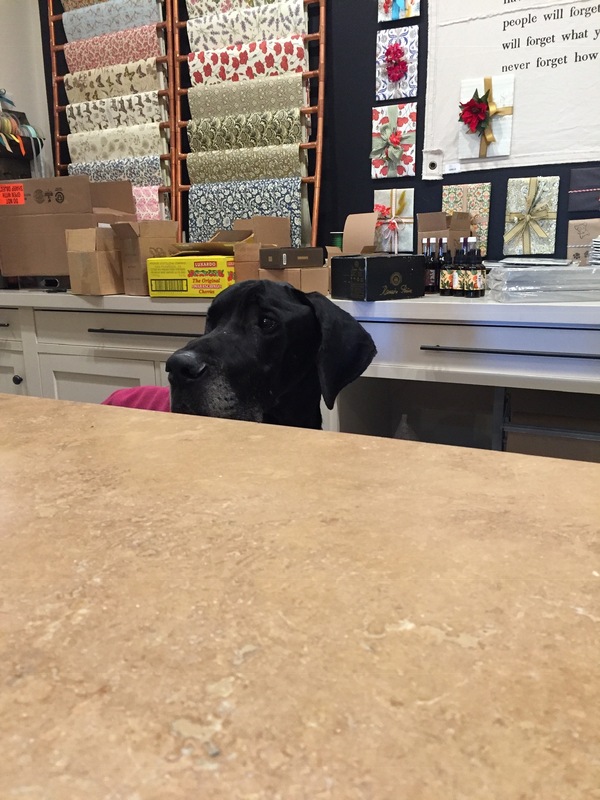 The phone did not stop ringing from Wednesday until this morning. 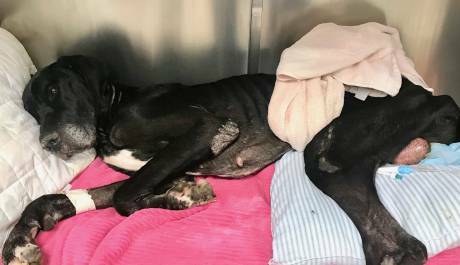 Shelters were closing over the Holidays, and any animal that was injured and not saved was euthanized. 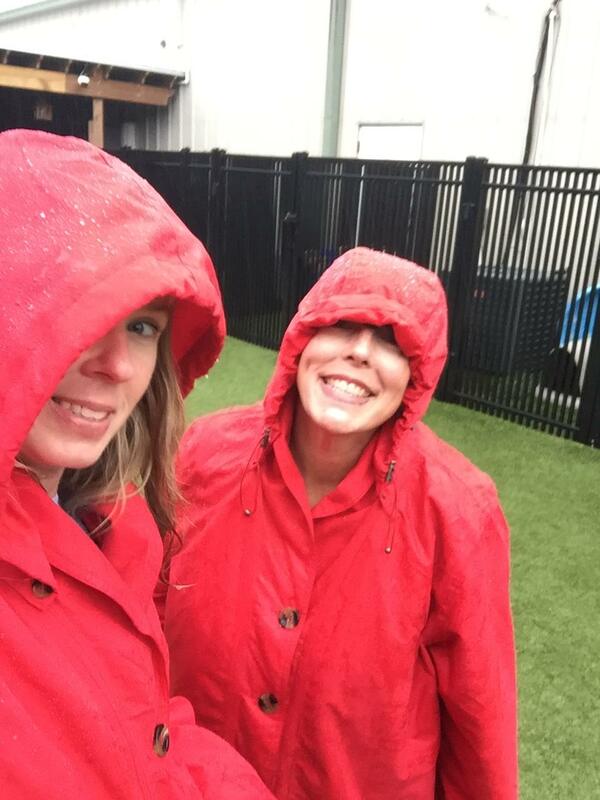 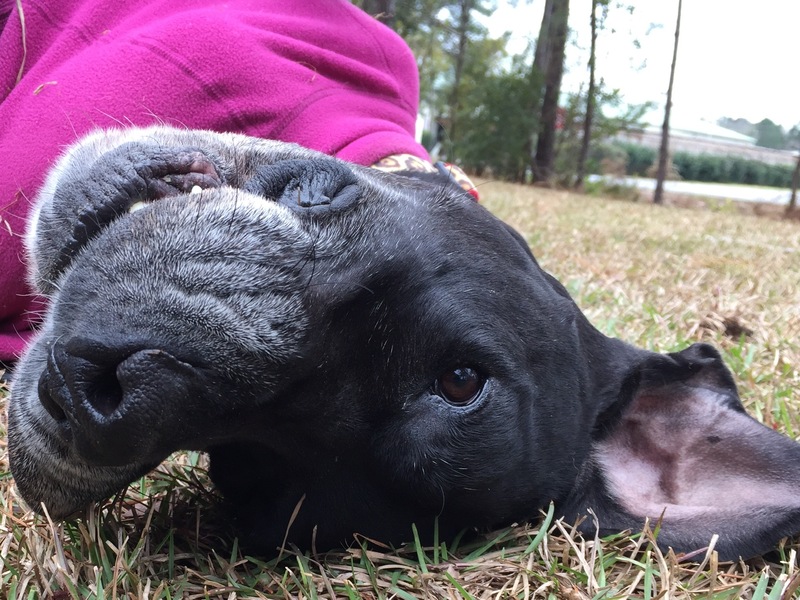 We took in eight critical abuse cases over the Holiday, so they were not euthanized. 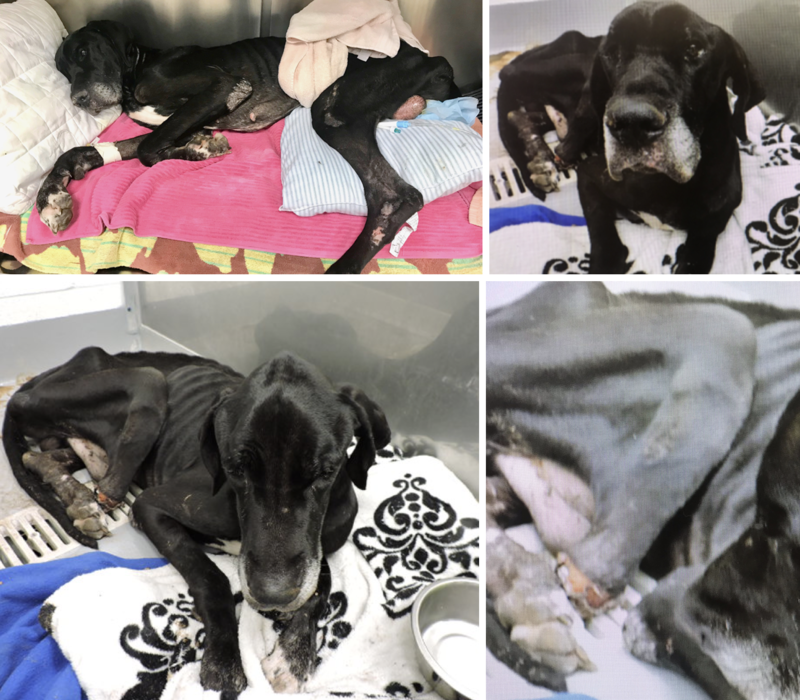 They are each in ICU fighting to survive the horrible abuse they have endured. 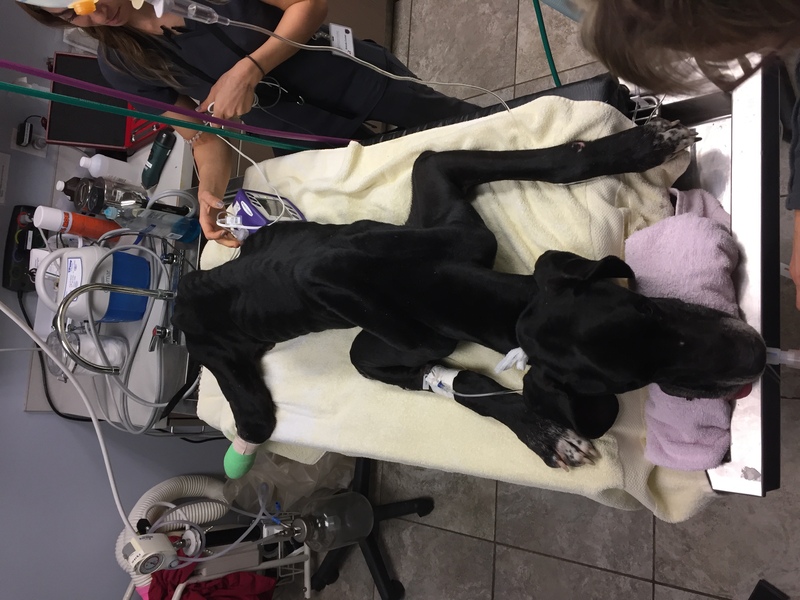 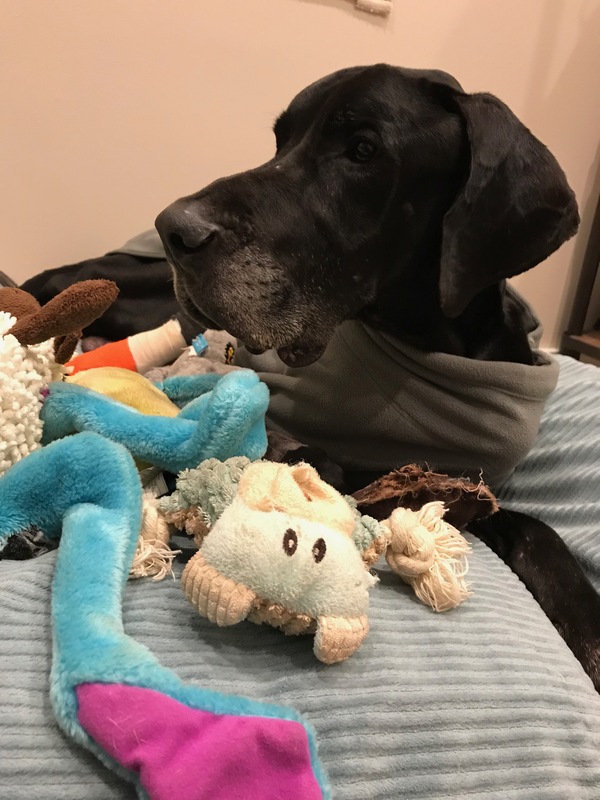 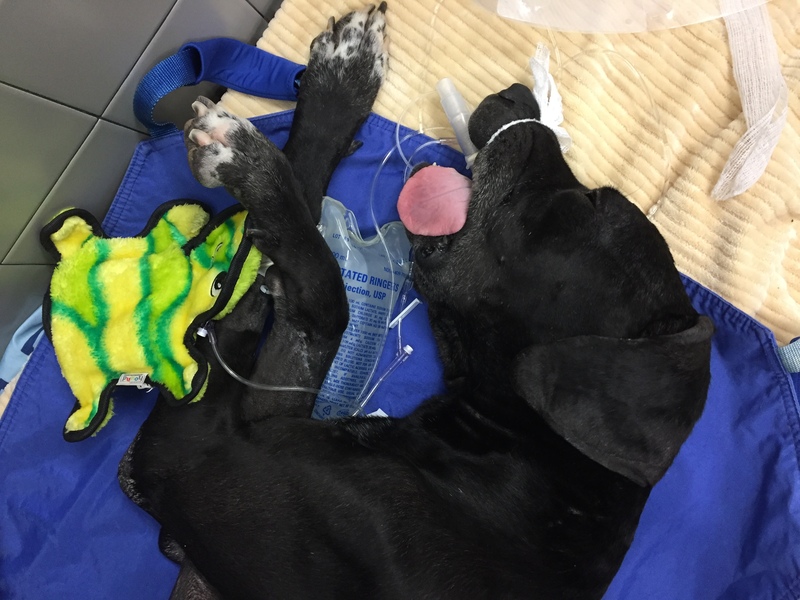 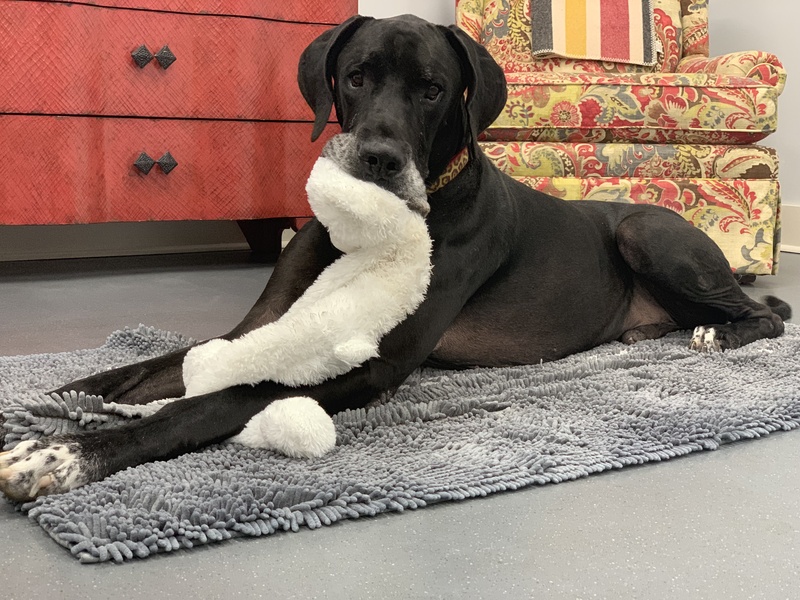 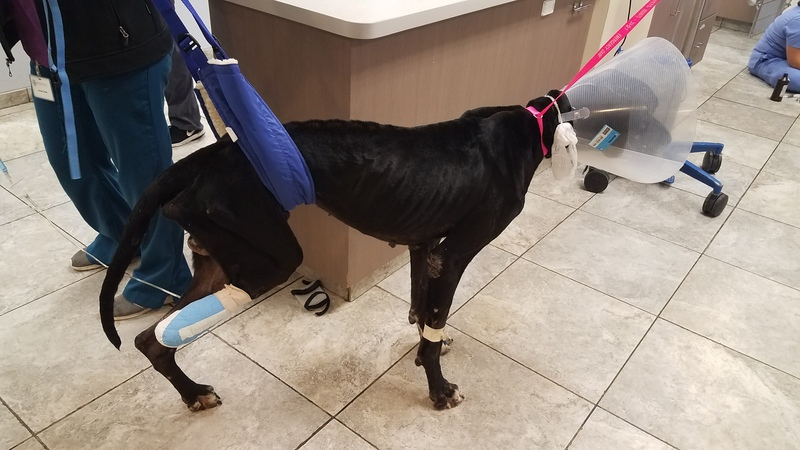 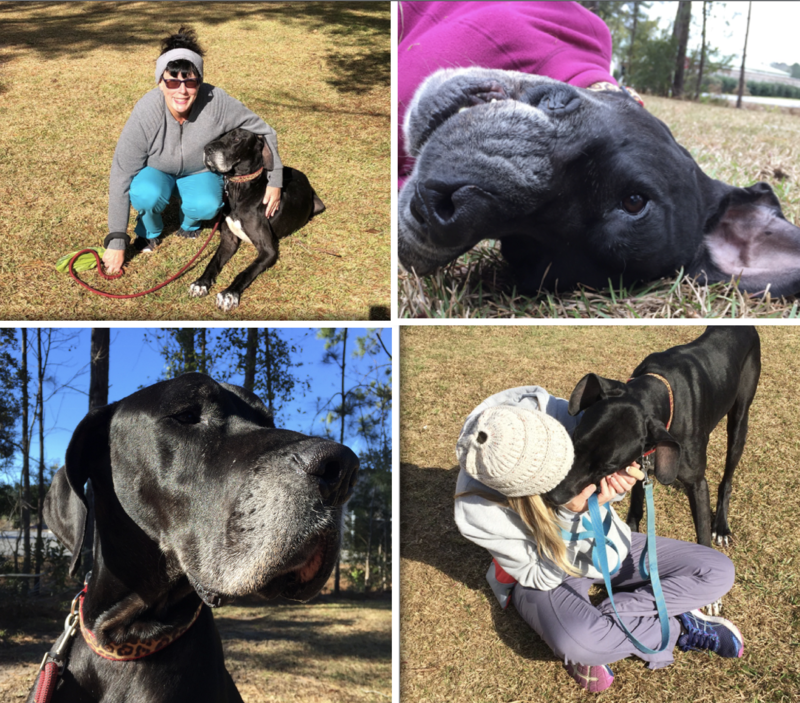 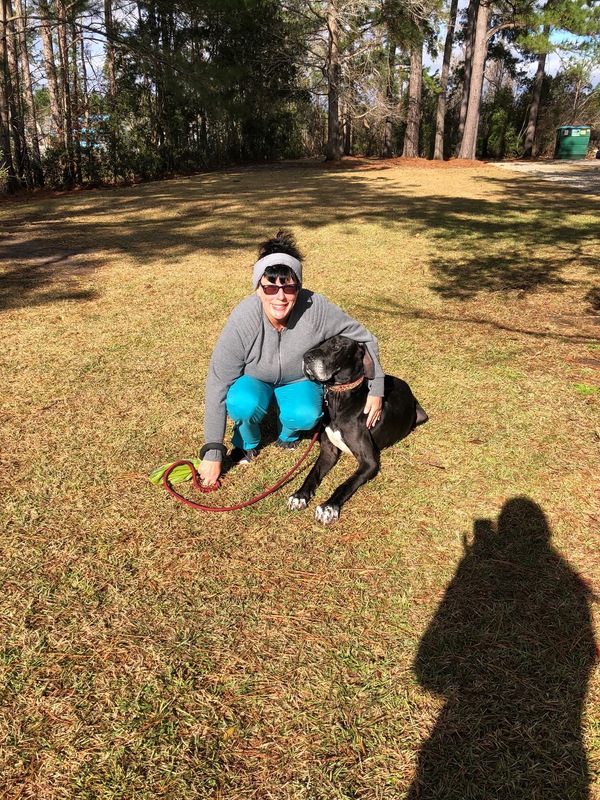 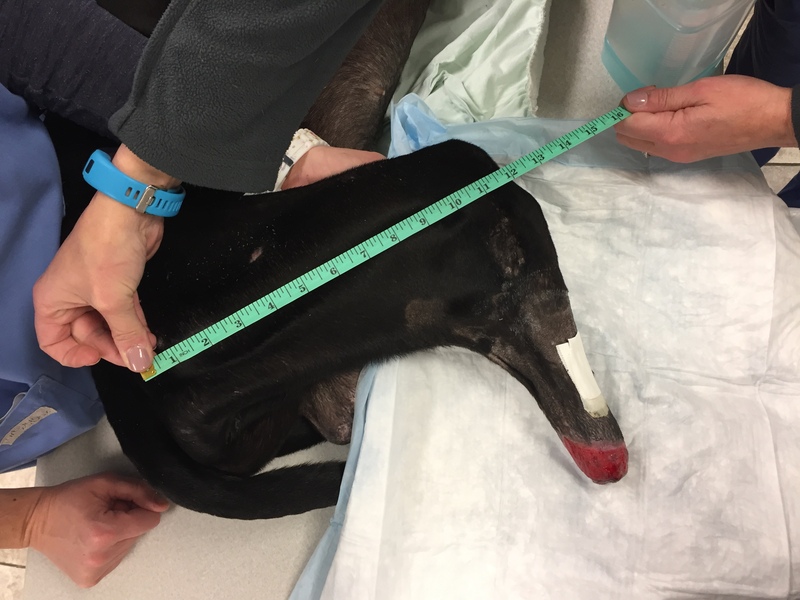 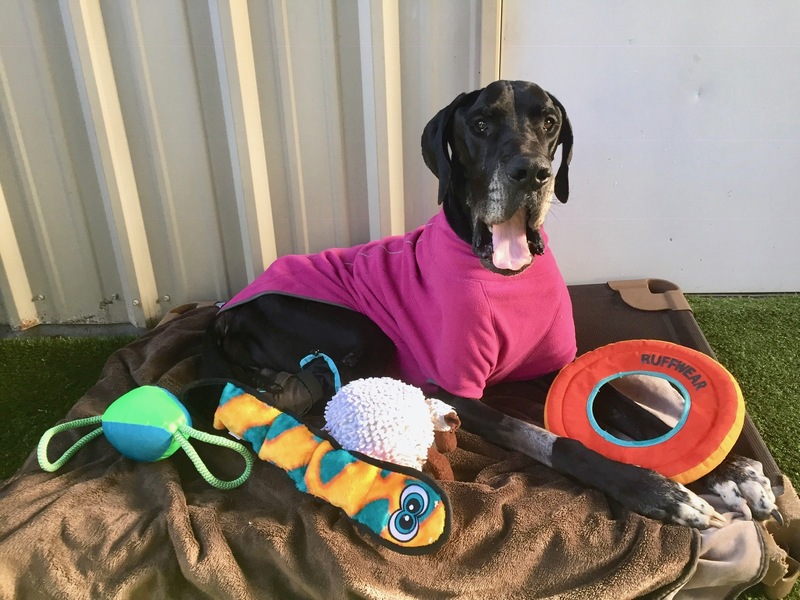 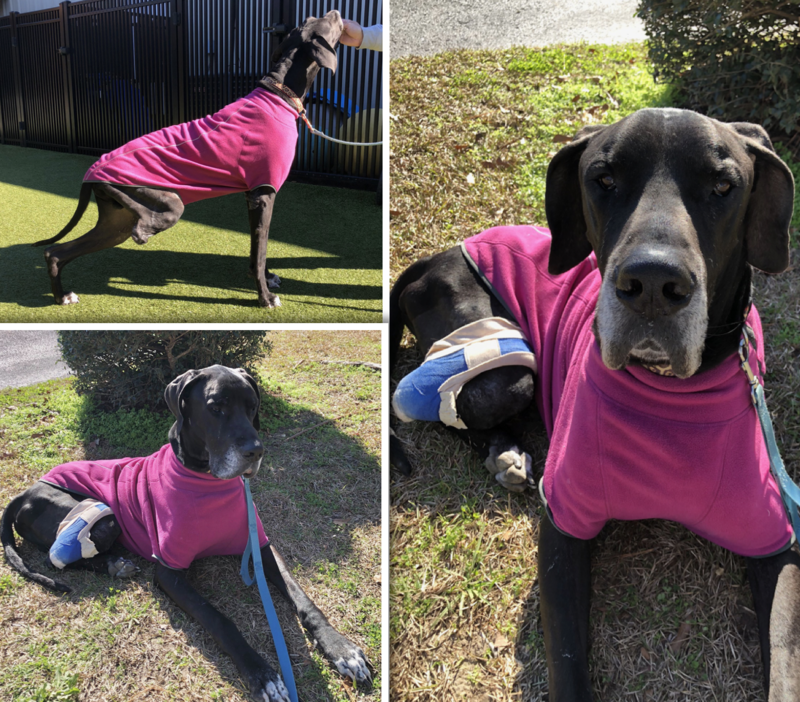 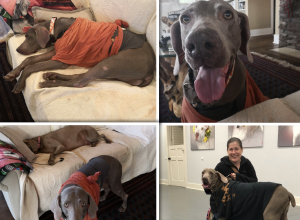 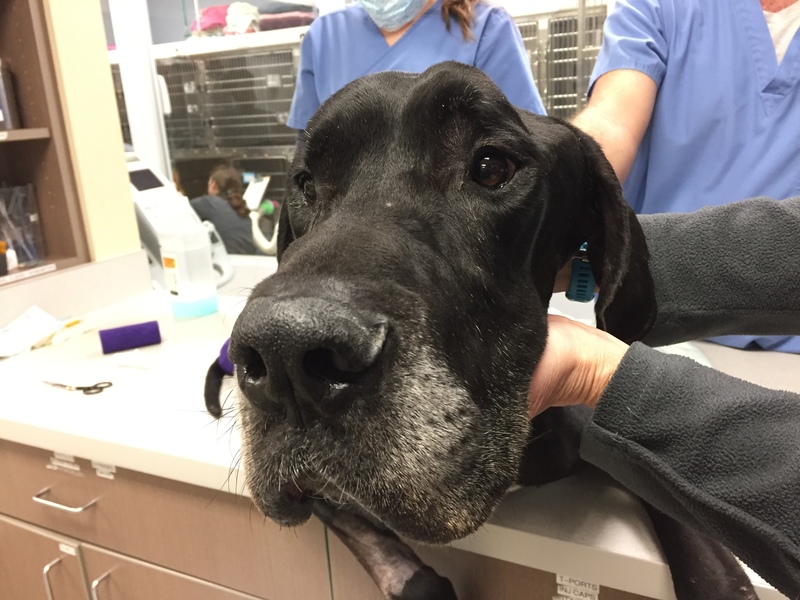 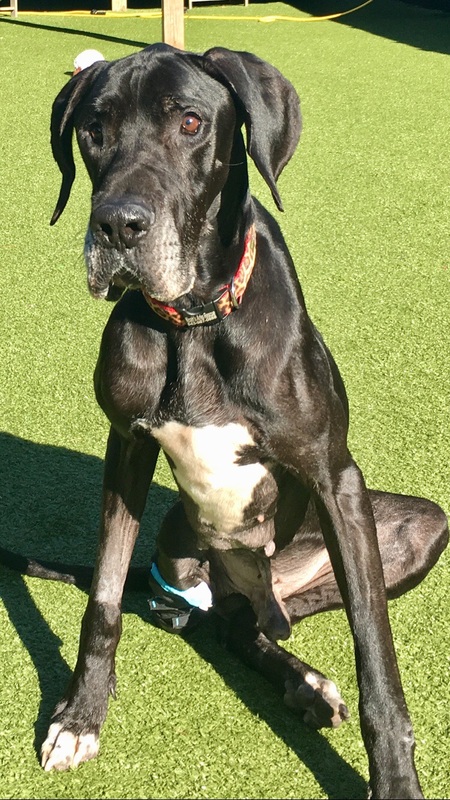 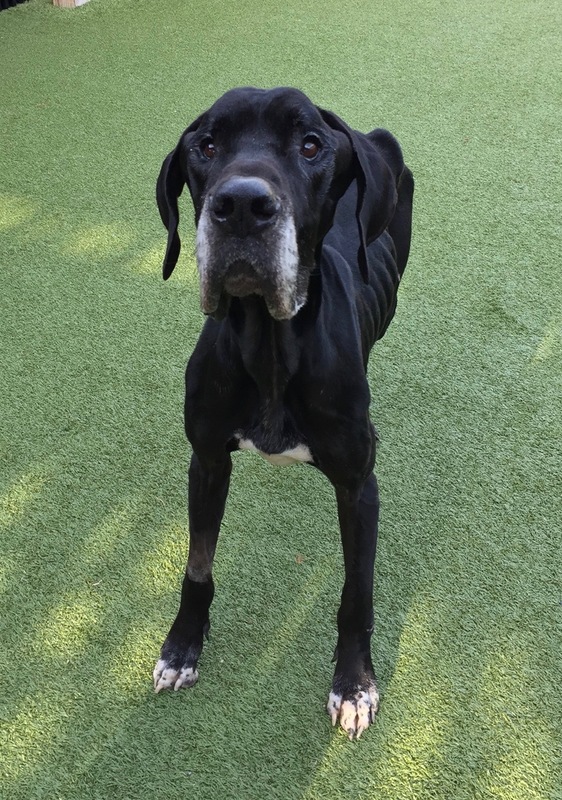 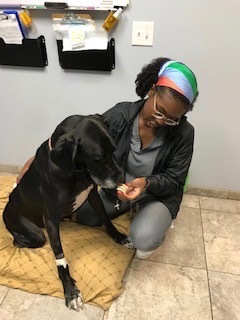 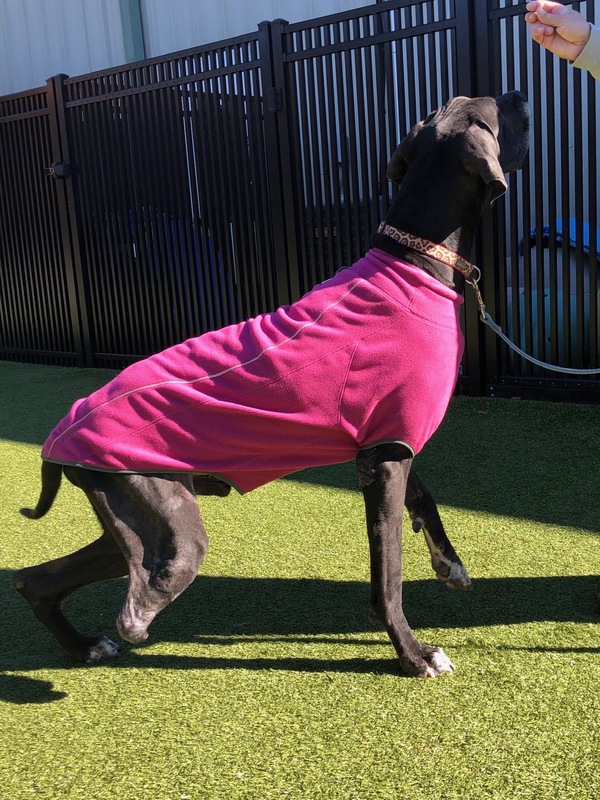 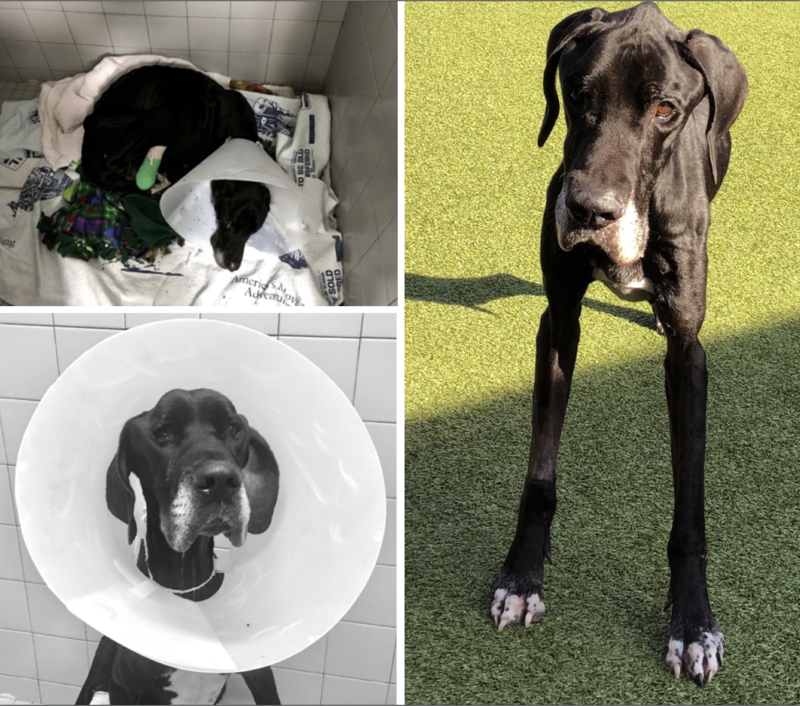 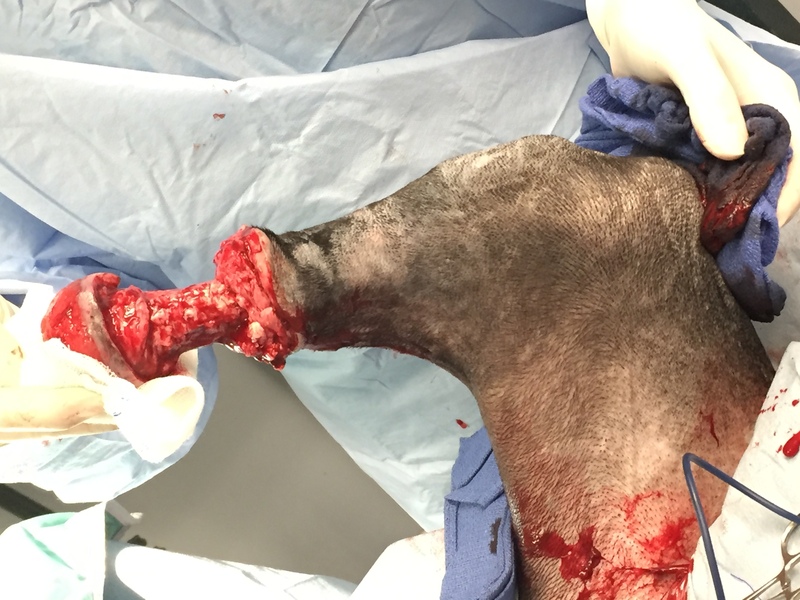 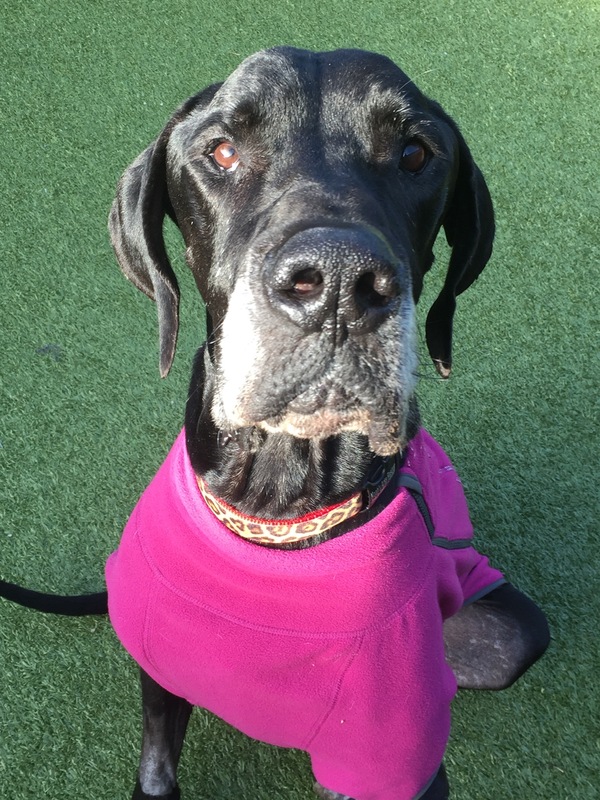 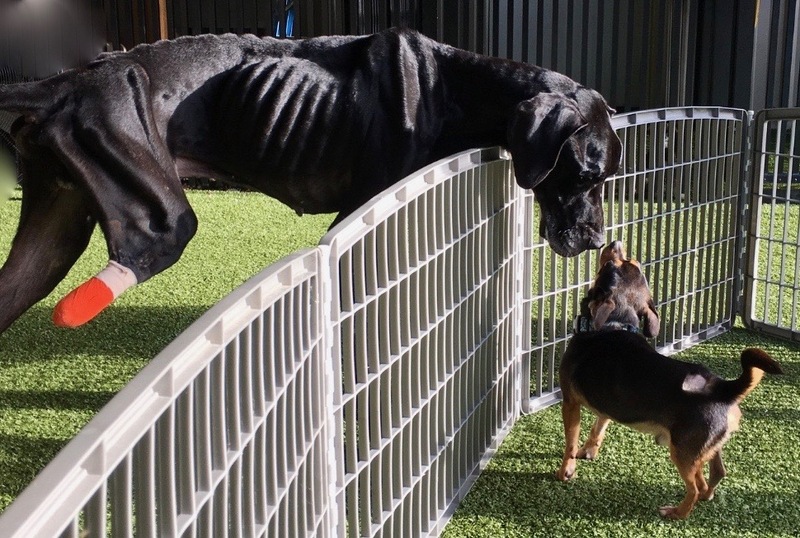 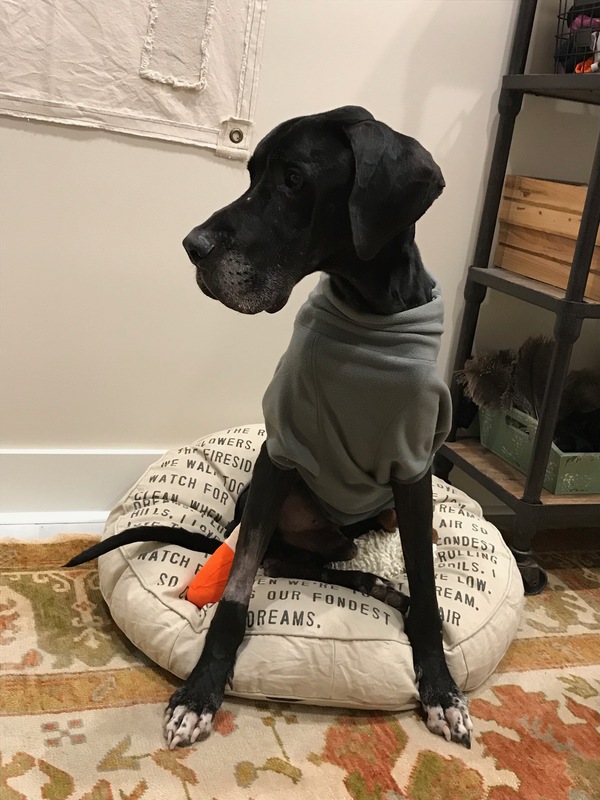 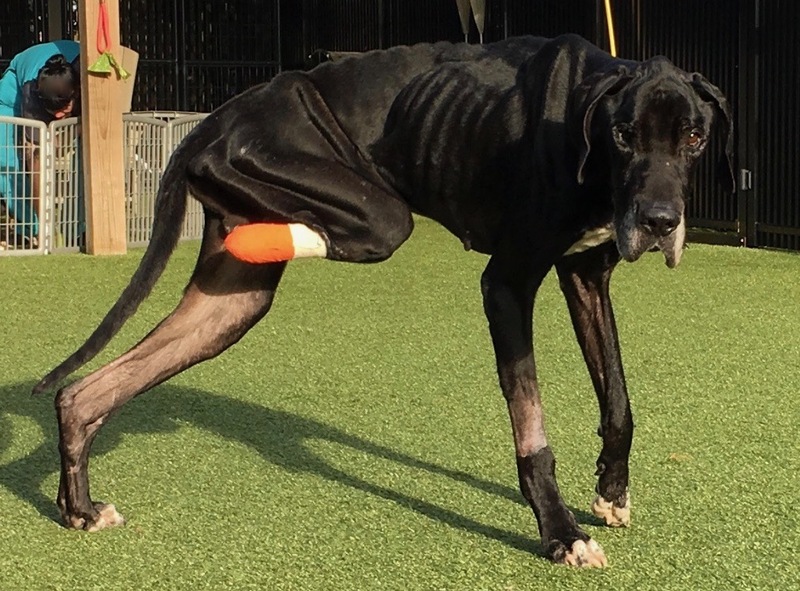 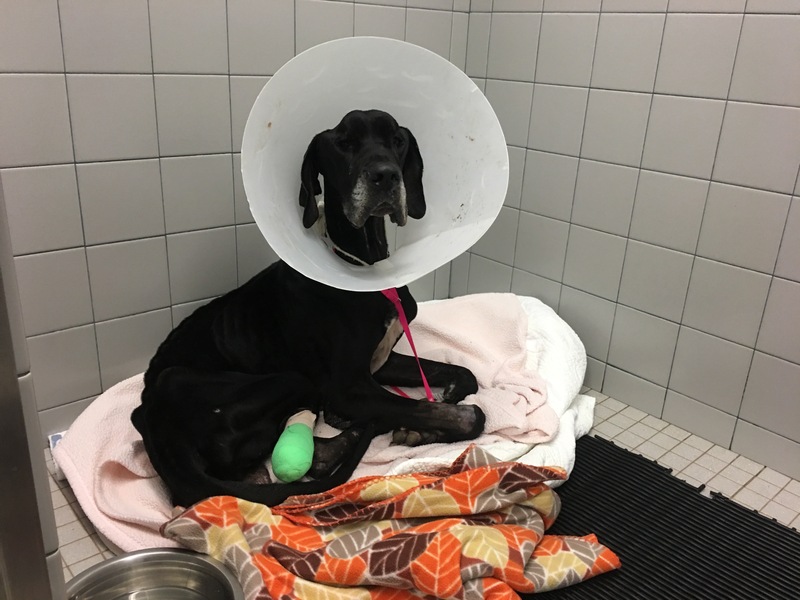 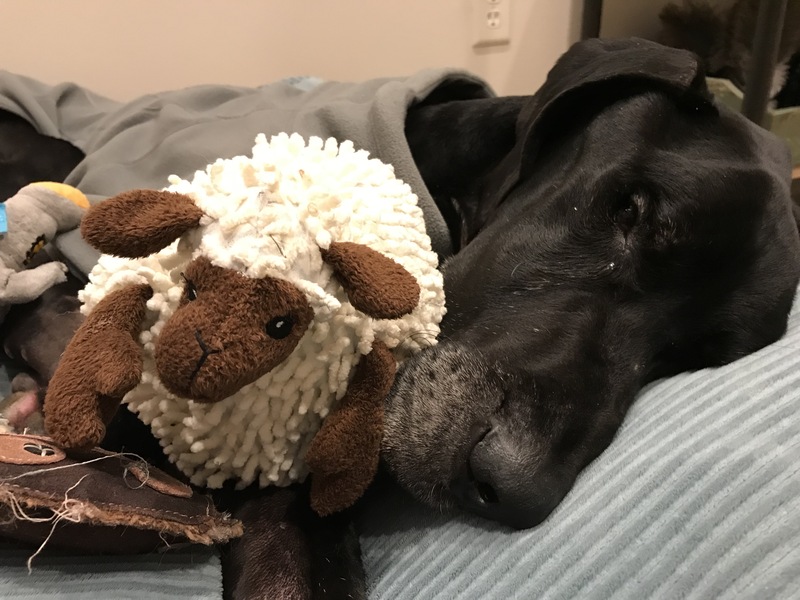 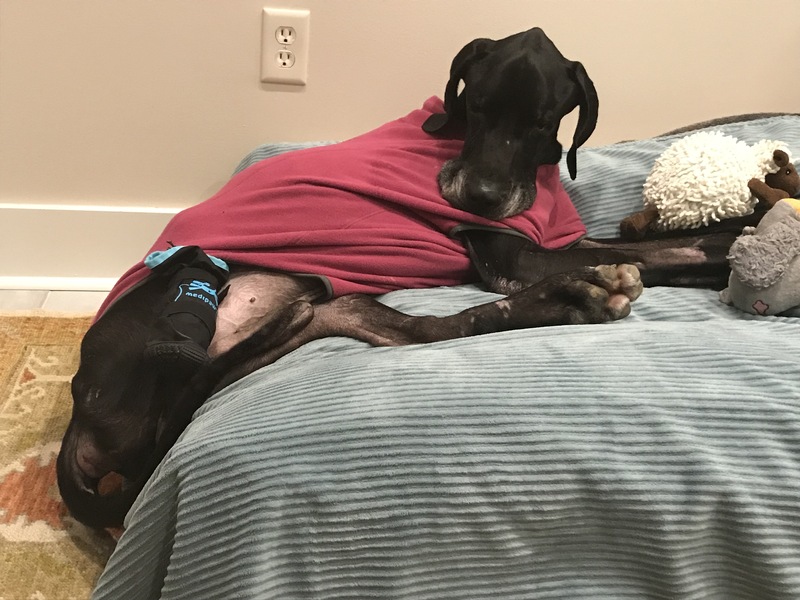 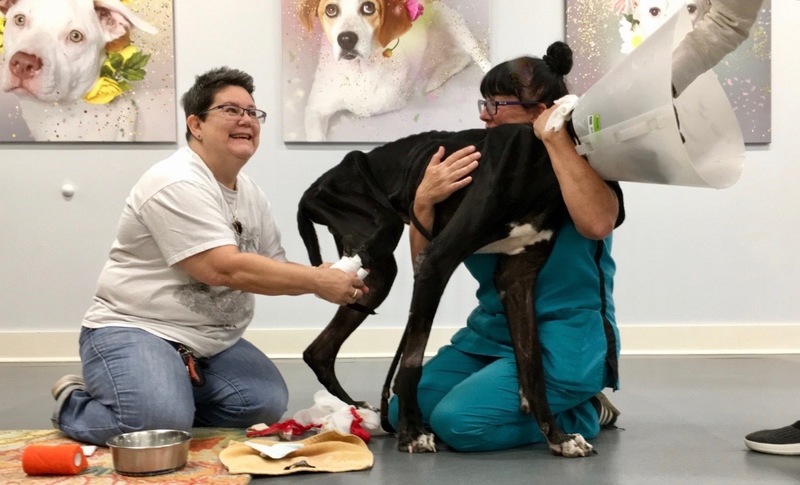 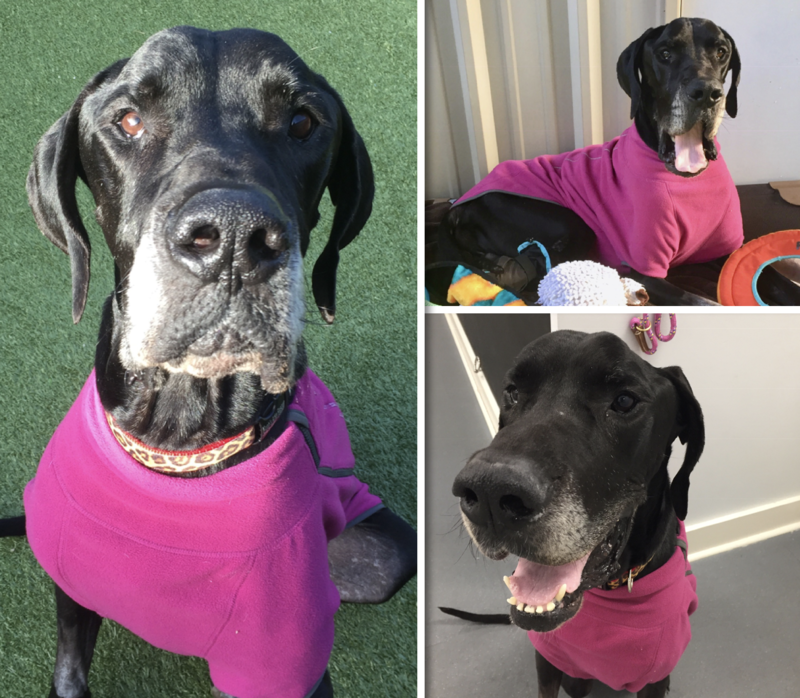 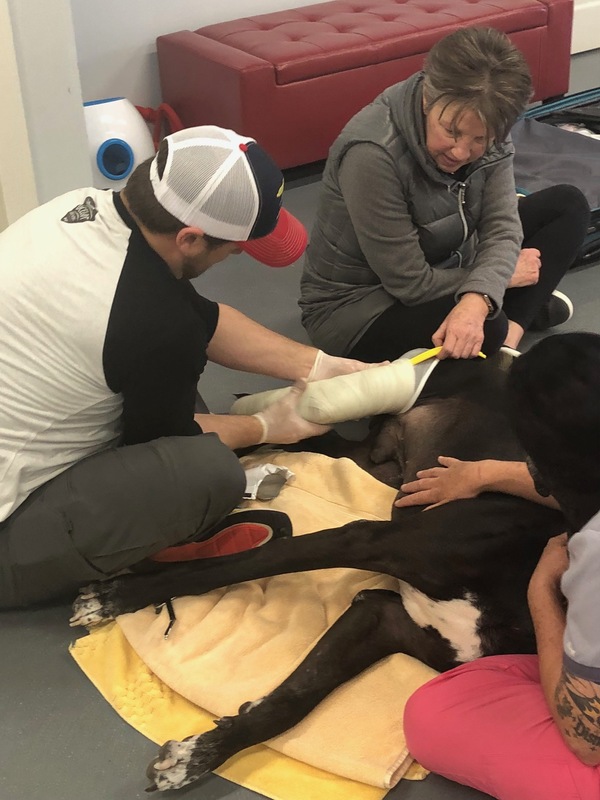 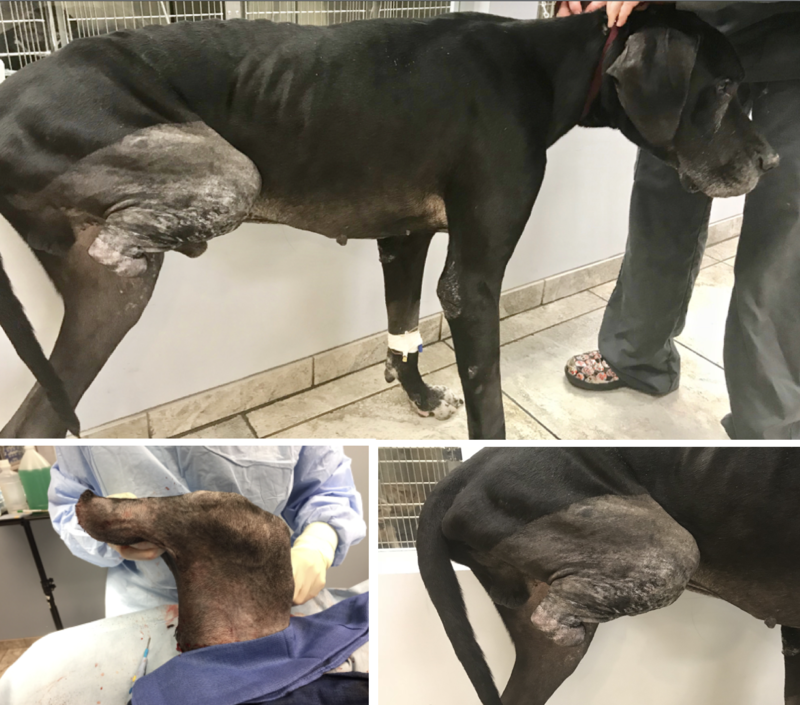 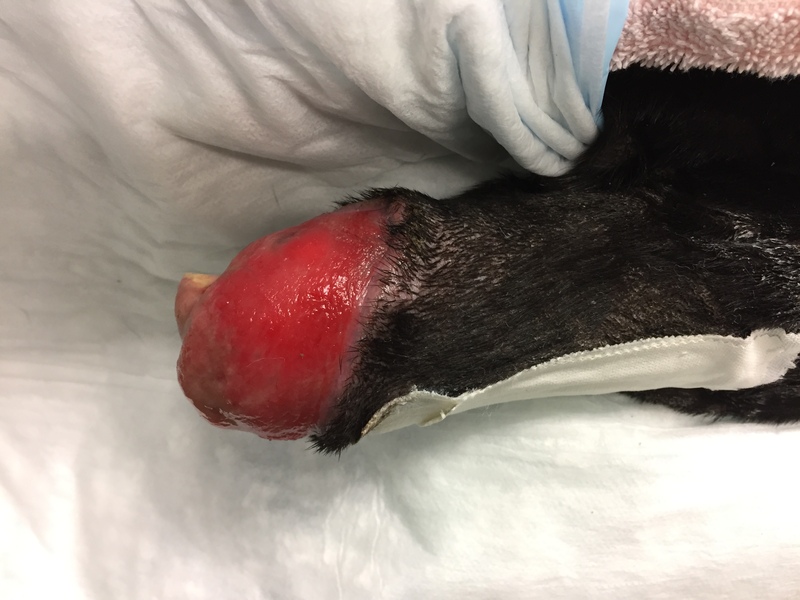 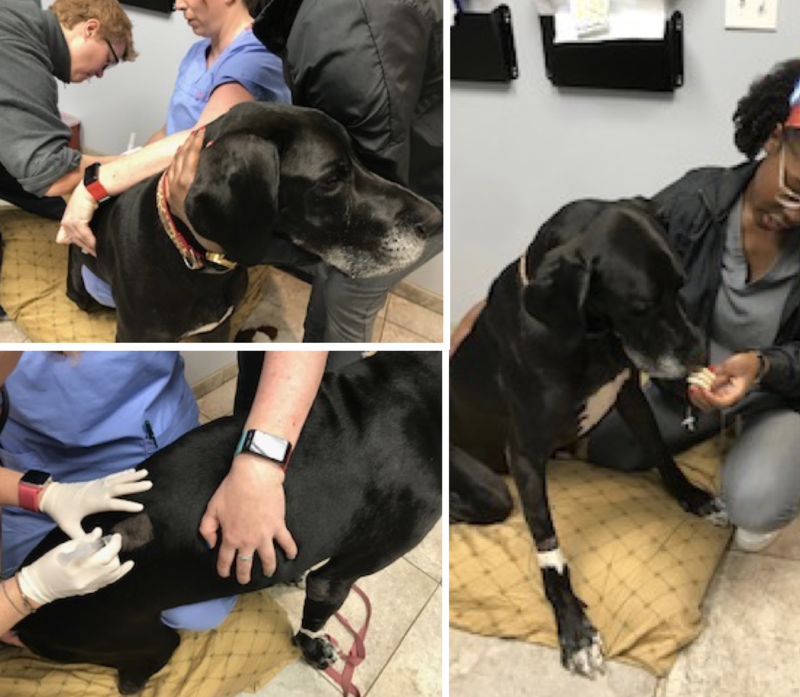 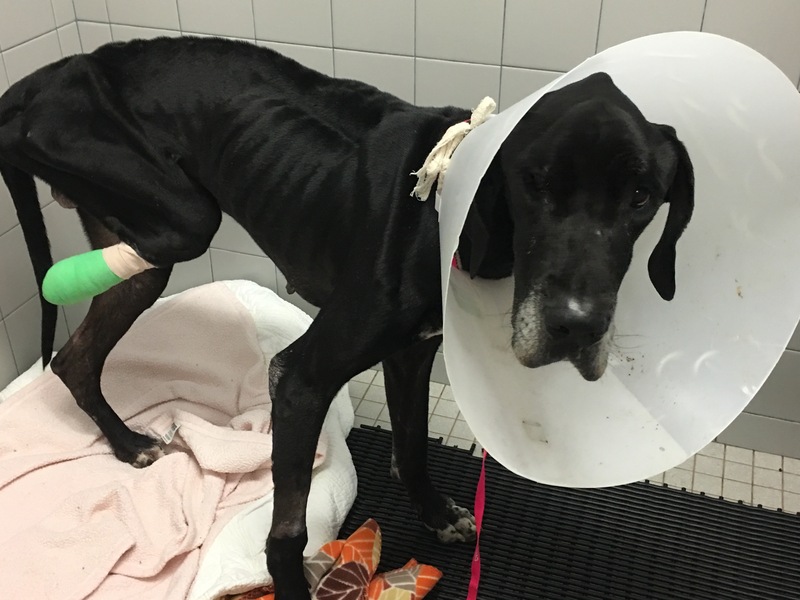 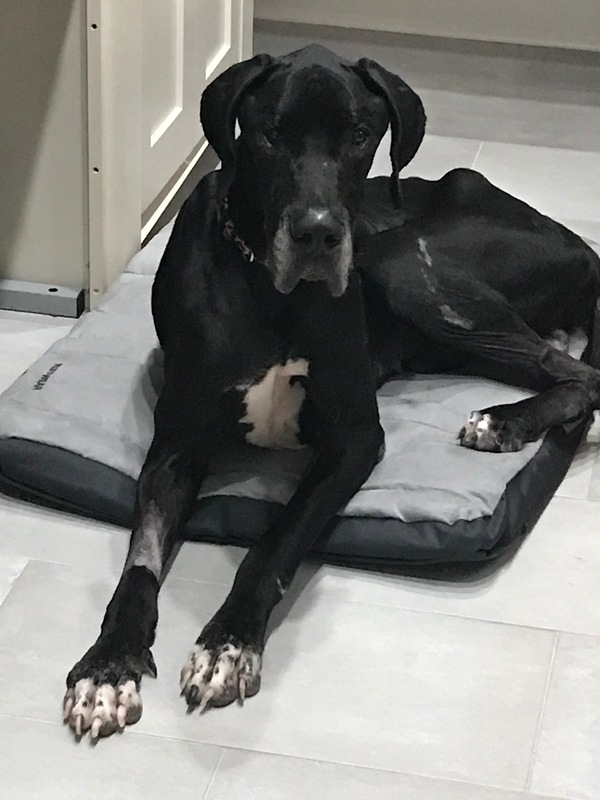 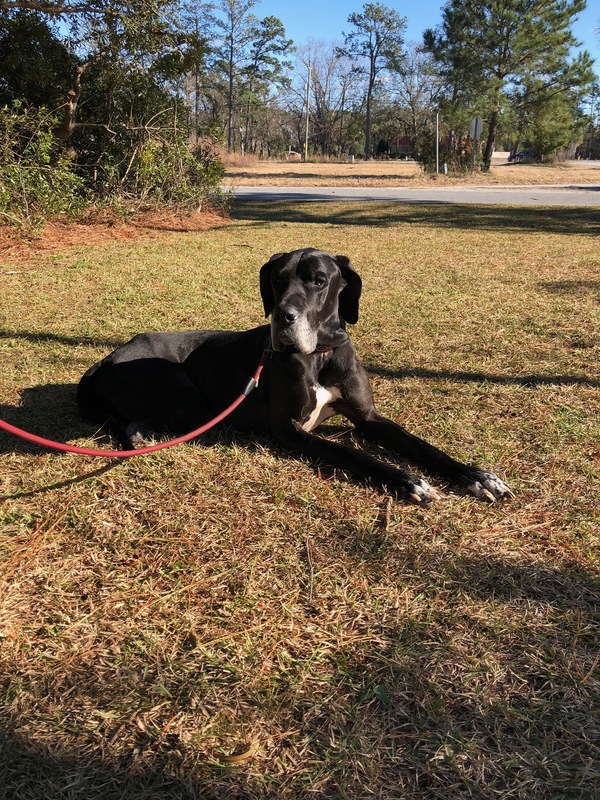 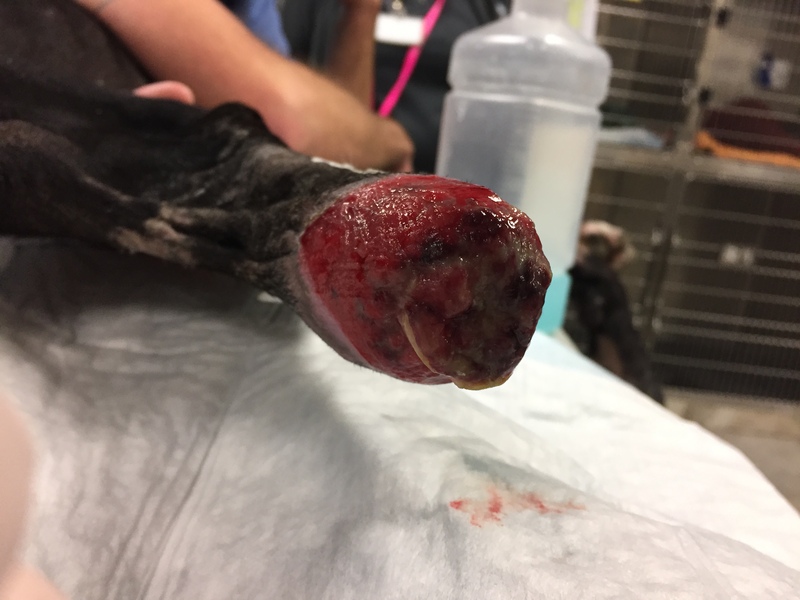 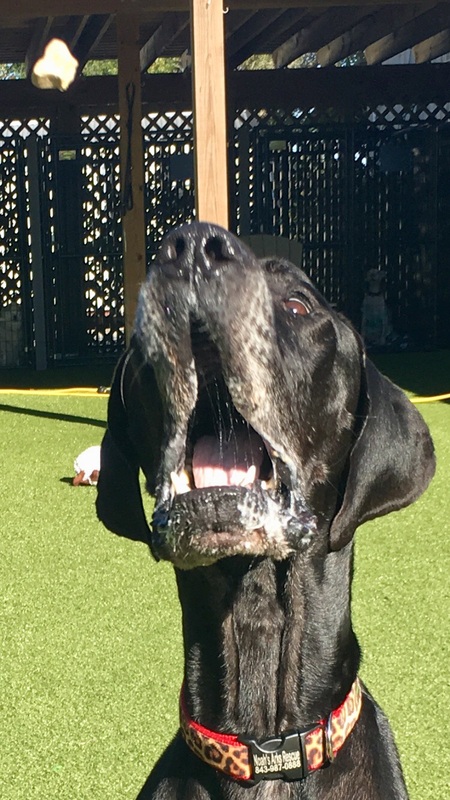 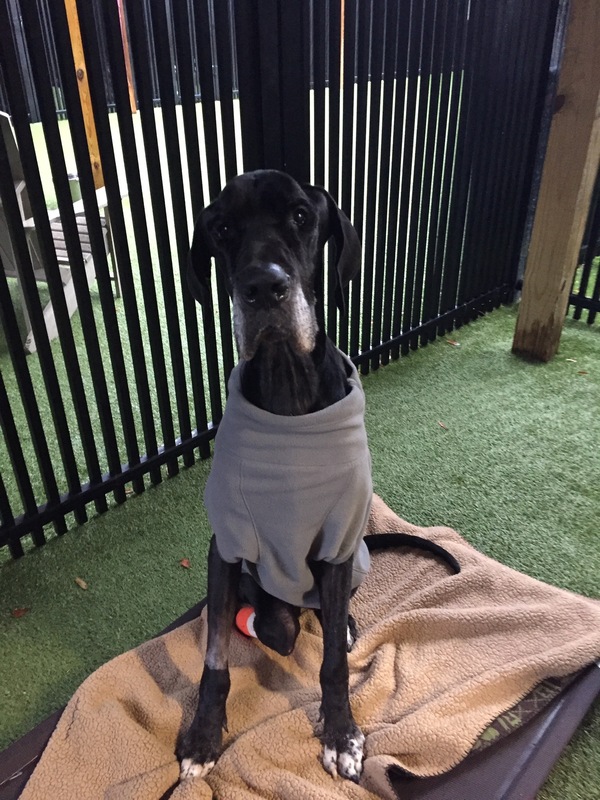 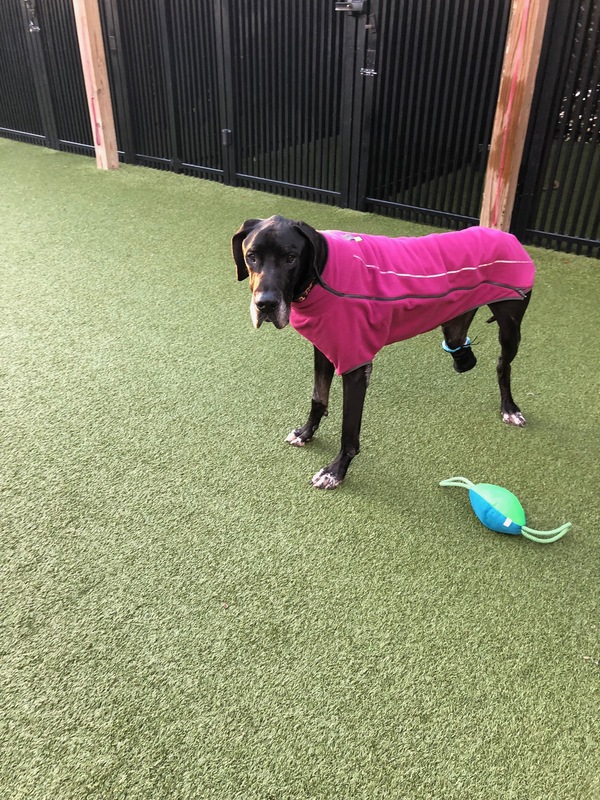 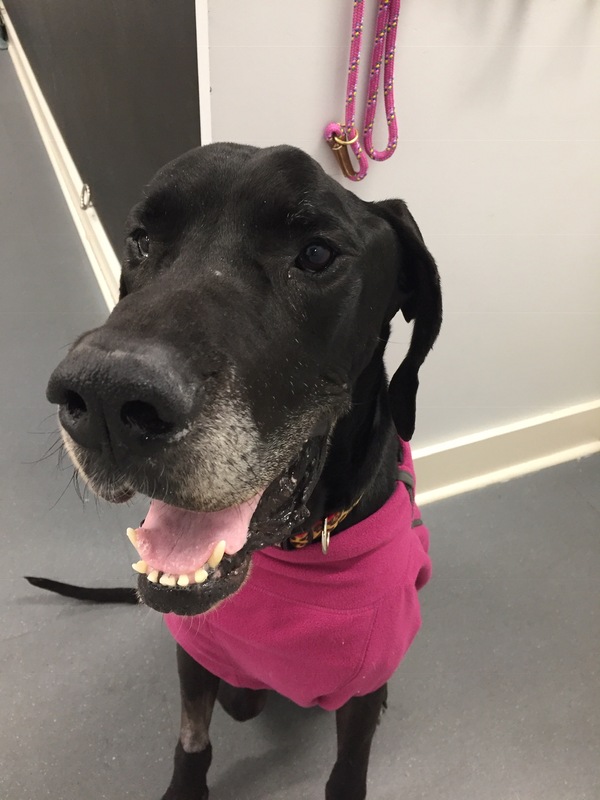 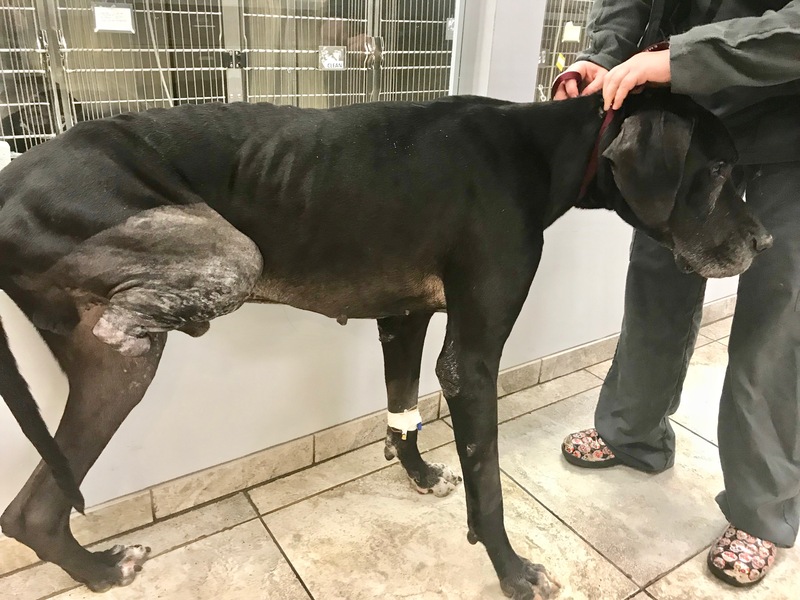 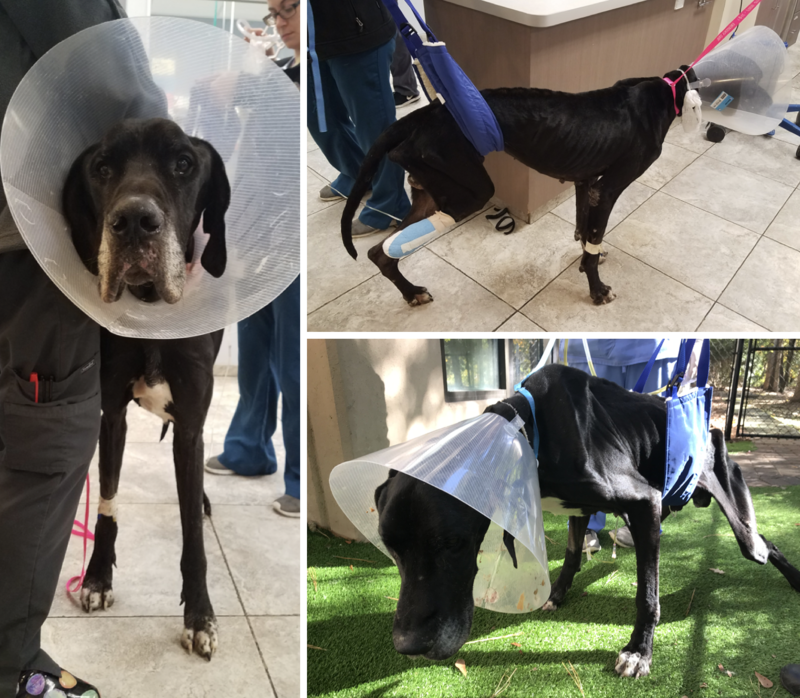 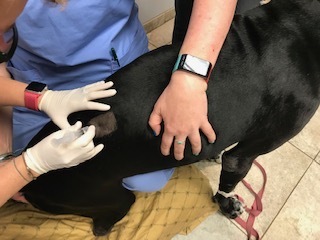 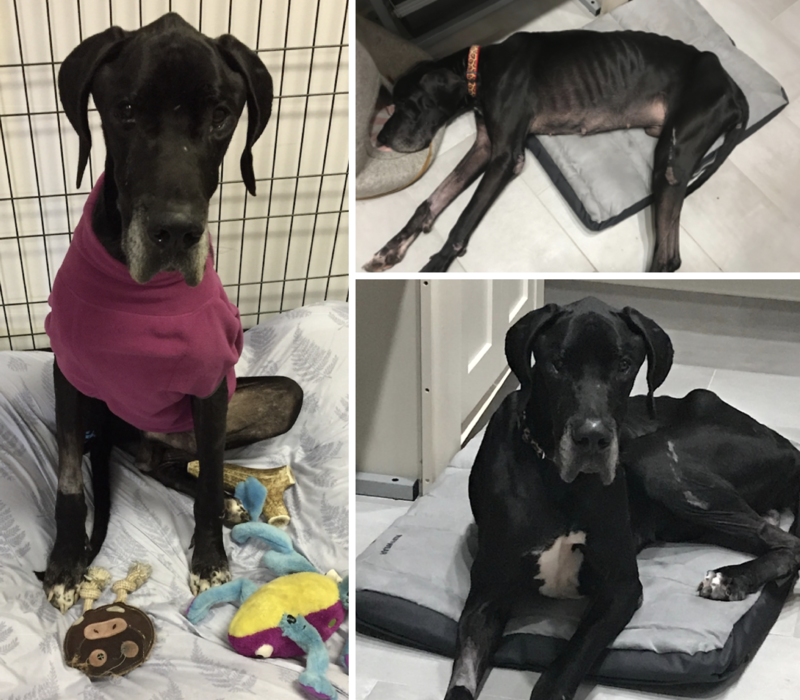 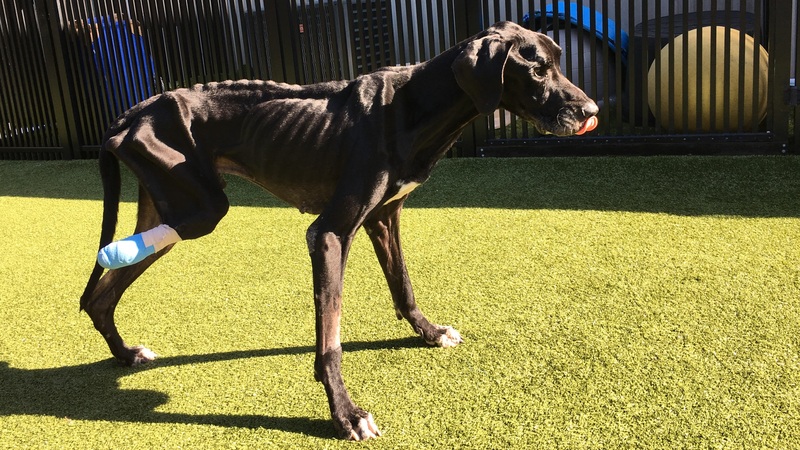 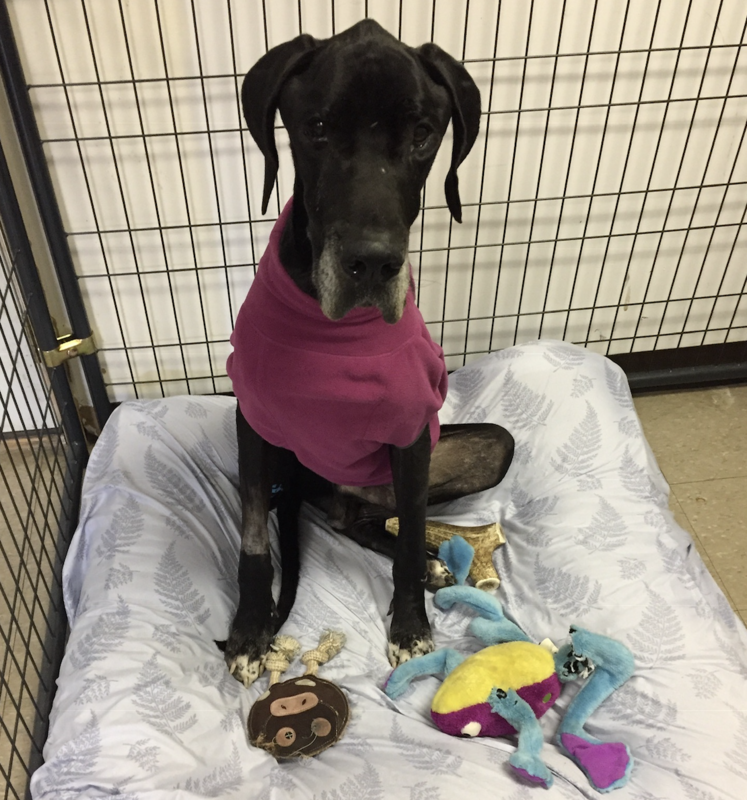 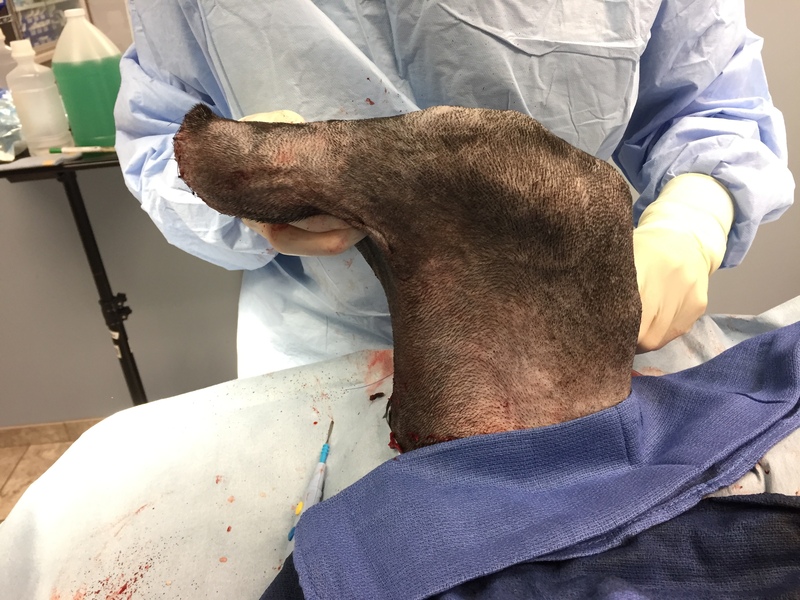 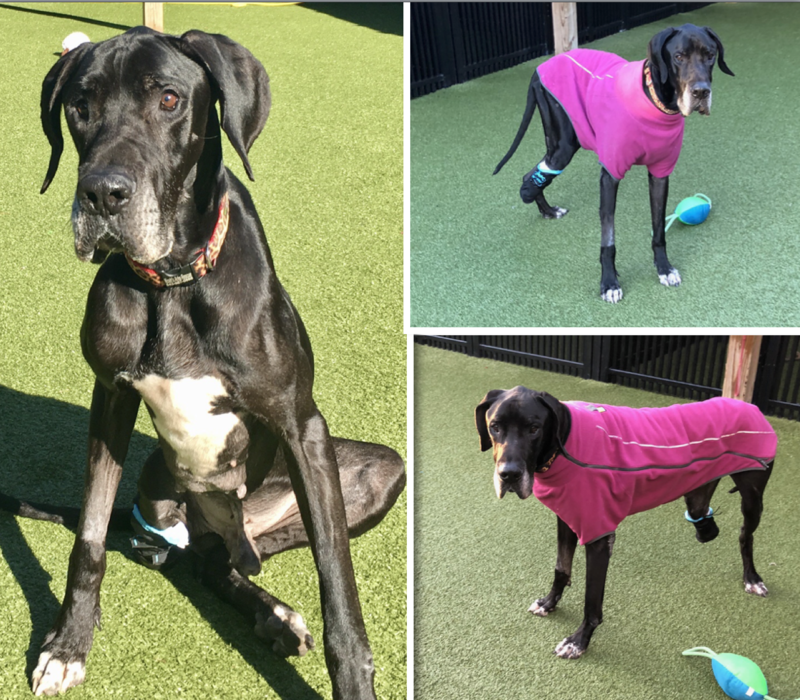 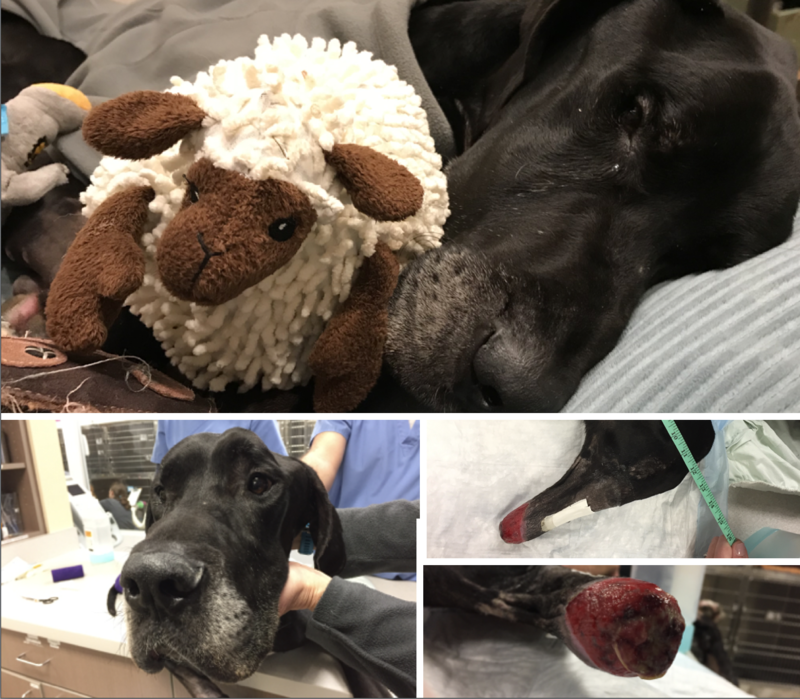 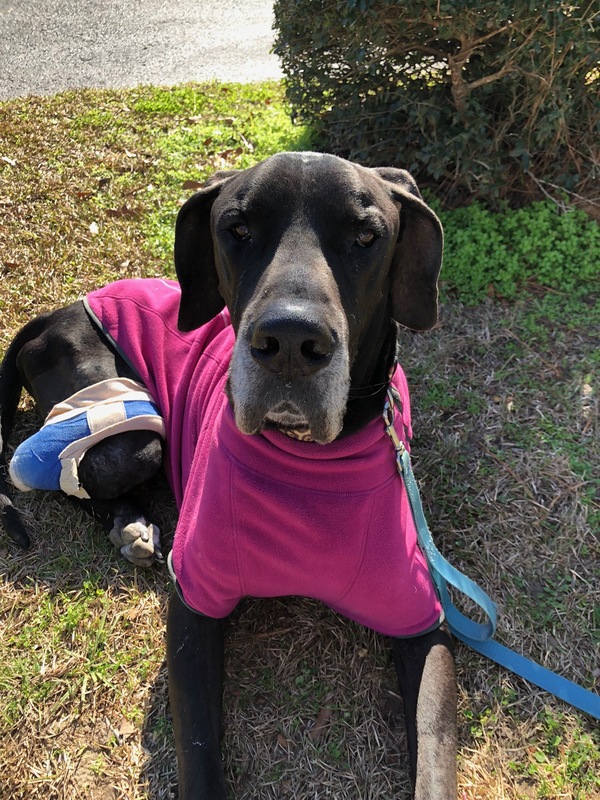 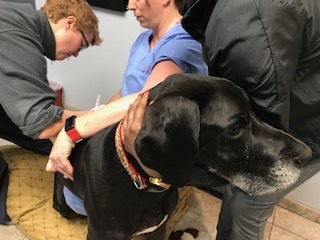 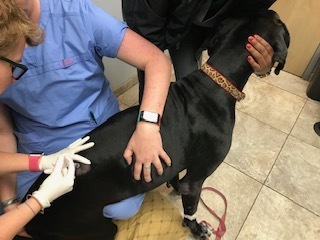 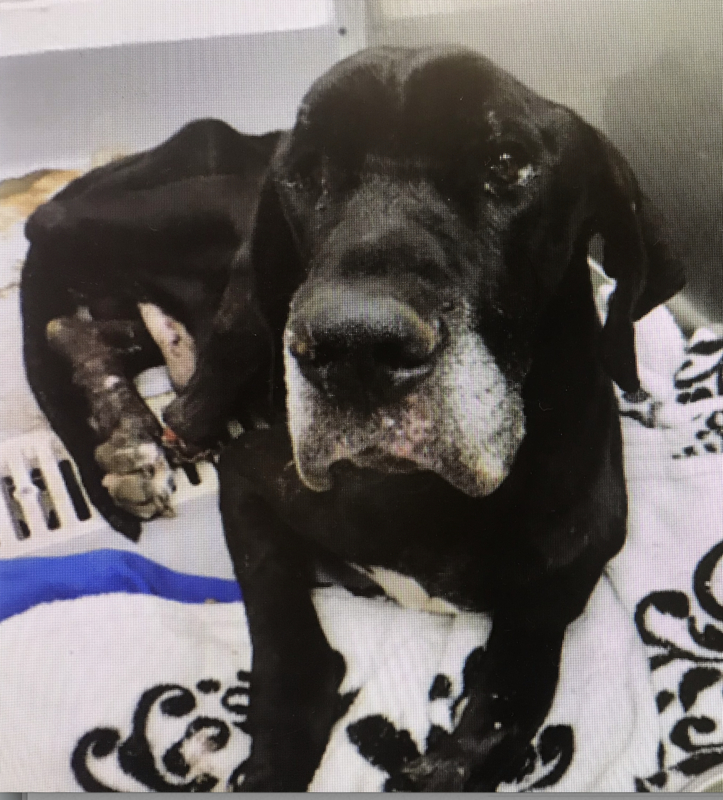 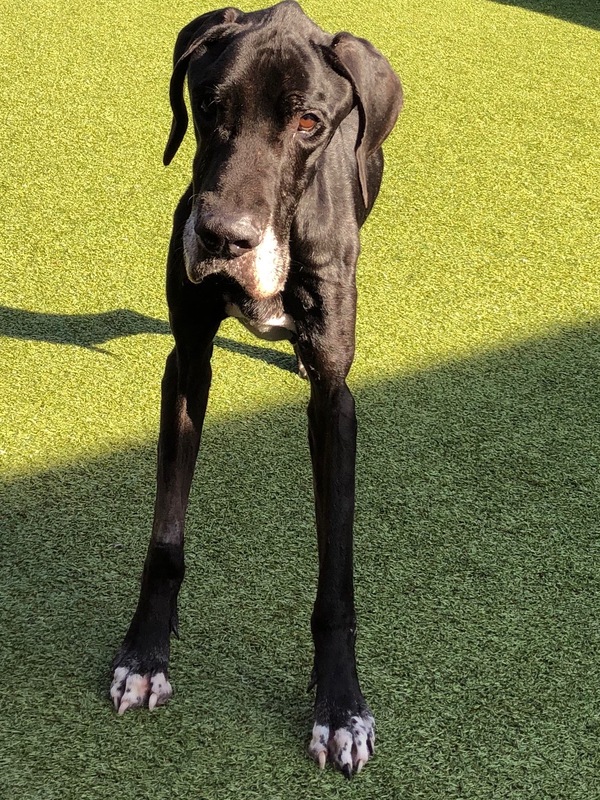 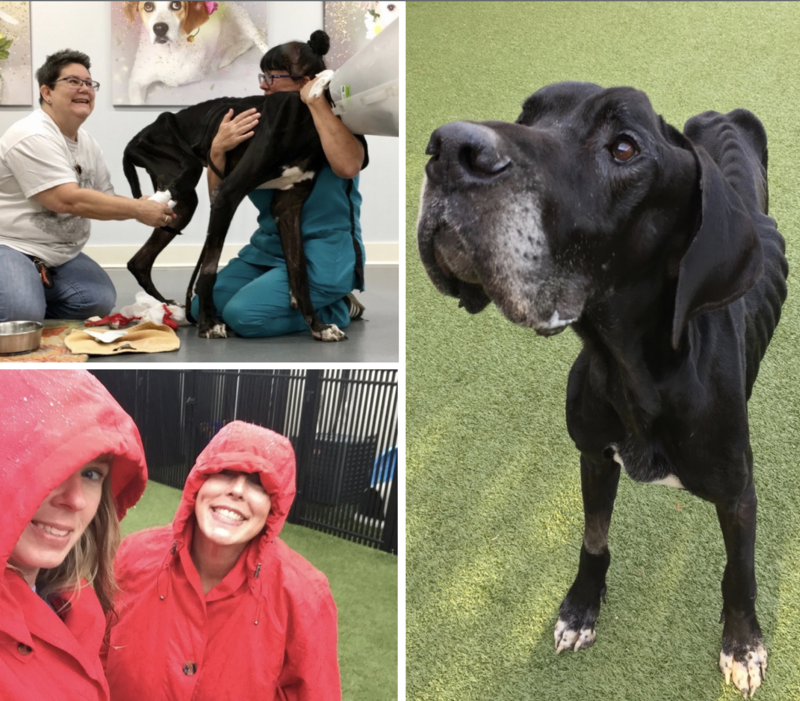 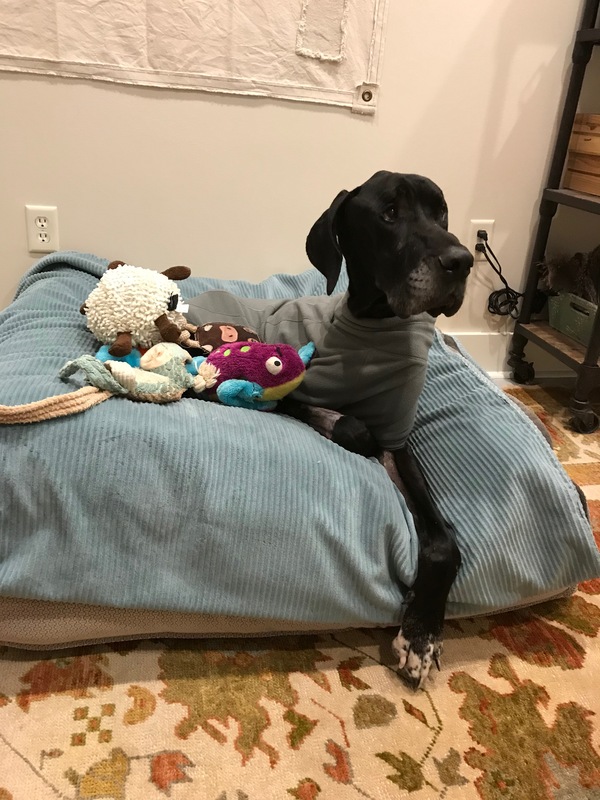 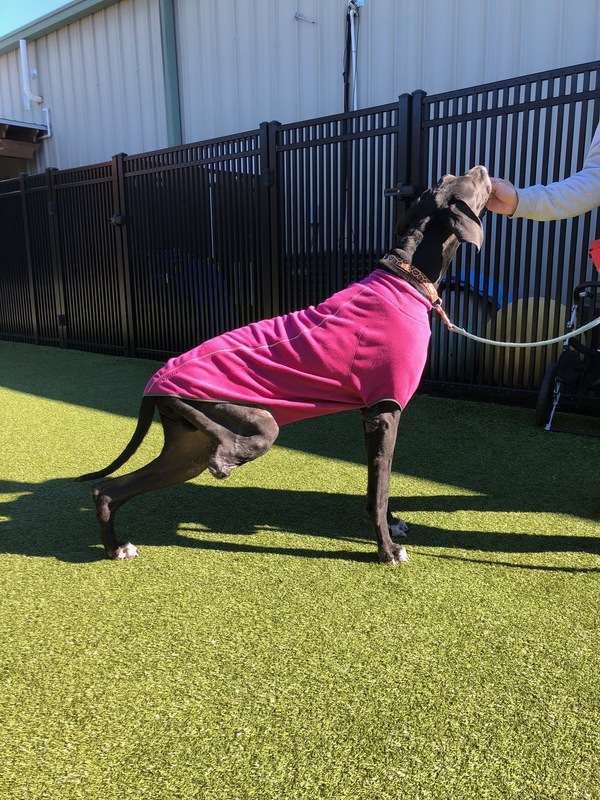 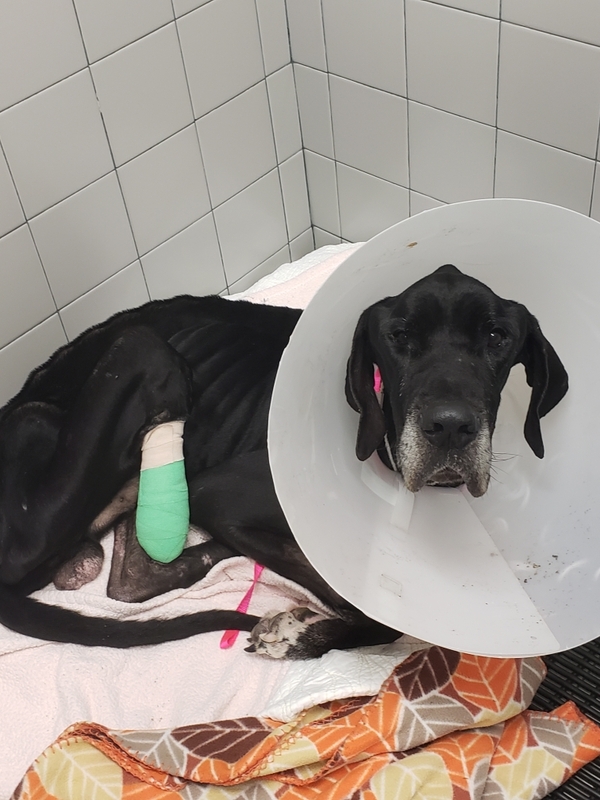 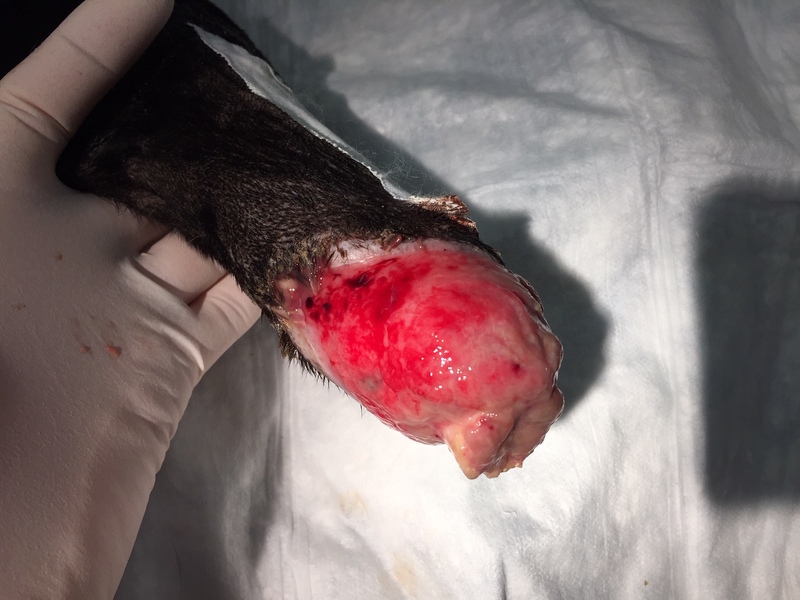 On Wednesday, I got a desperate e-mail to help a six-year-old Great Dane that was starved almost to death. 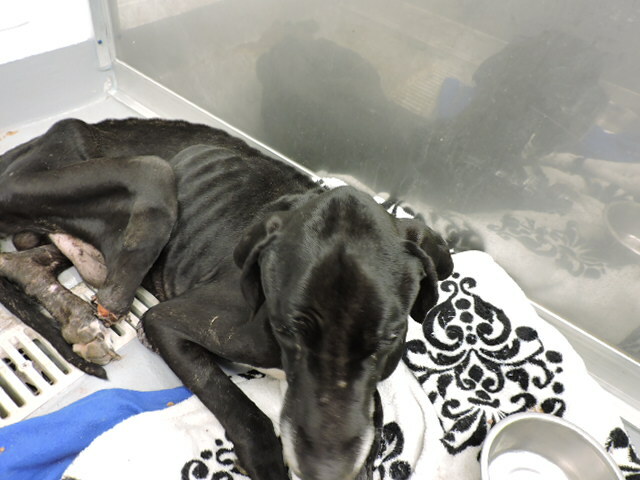 He was reported by someone that saw the dog and was horrified enough to report the neglect. 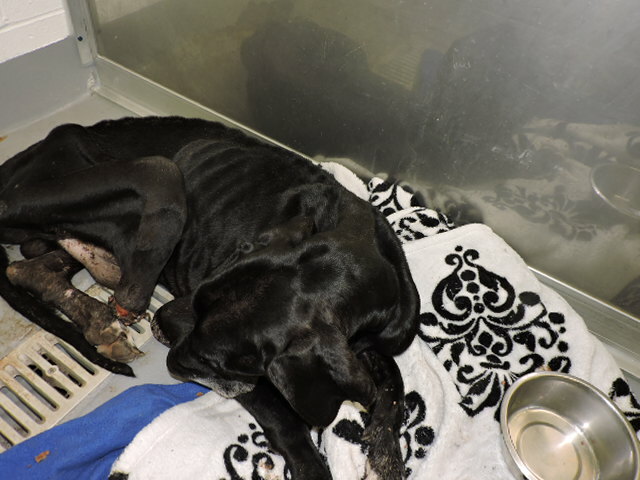 Animal Control came out to a home where several dogs lived outside. 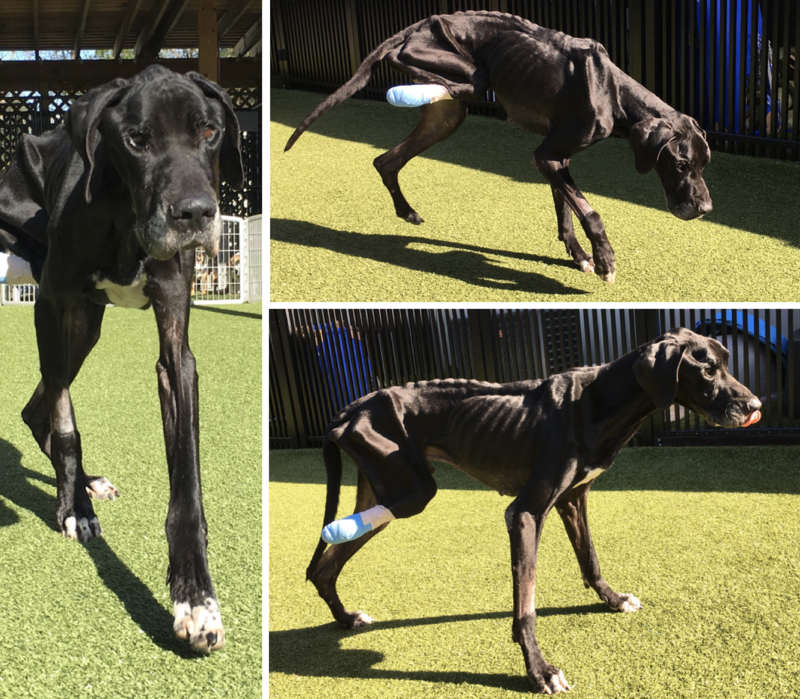 Two were fine but Luke, the Great Dane had been so starved that he had eaten his foot off to survive. 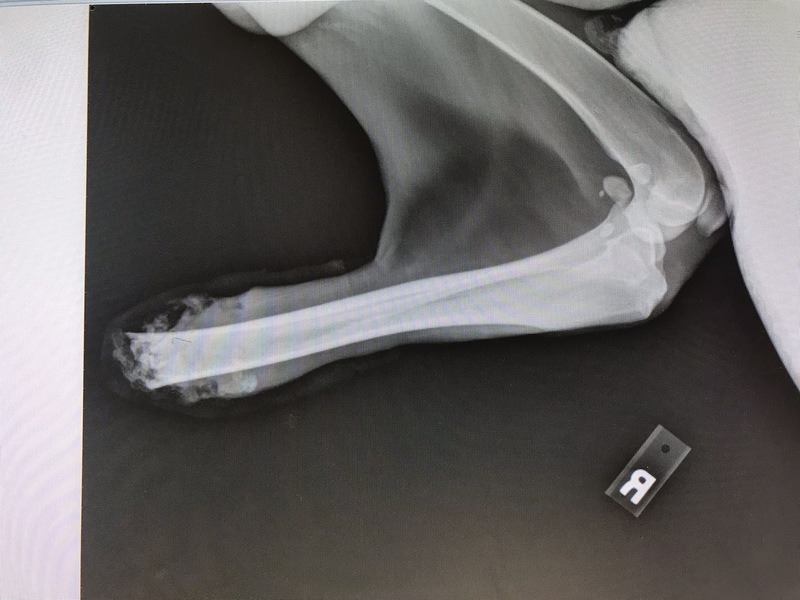 It appeared he had been this way for almost two weeks. 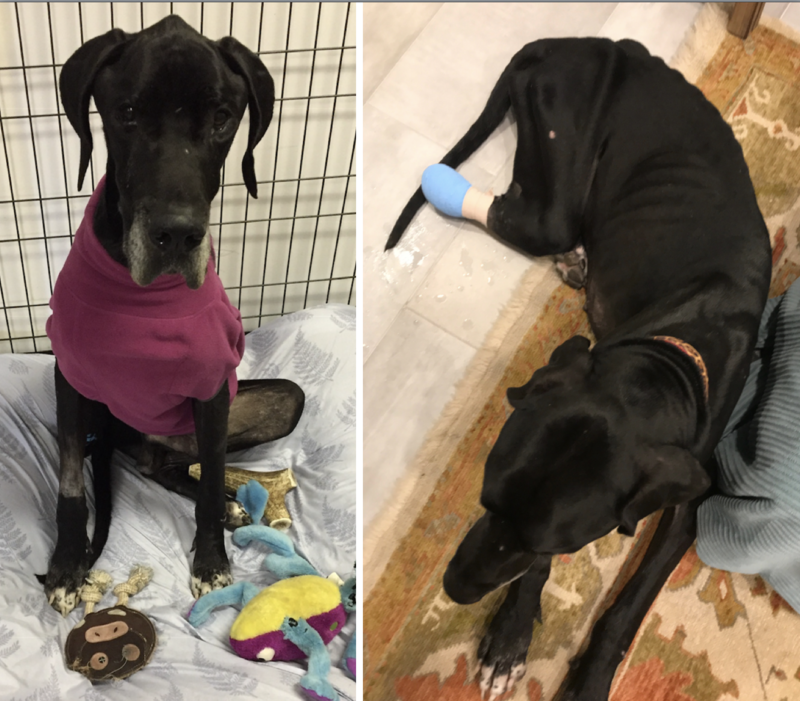 The man was picked up and put in JAIL that had Luke, and a plea went out for help. 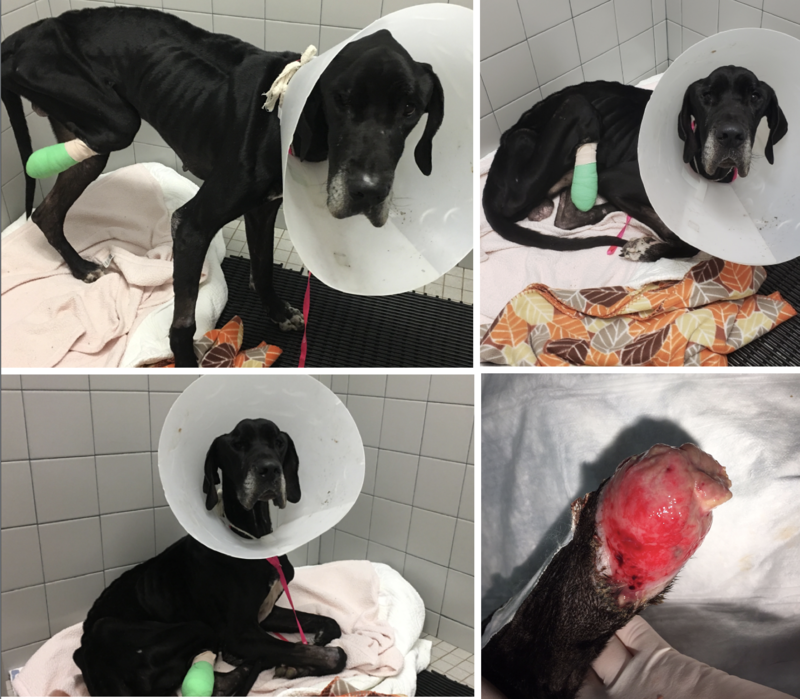 The day I do not step up to save a dog that chewed his foot off to survive is the day I need not call myself a Rescue any longer. 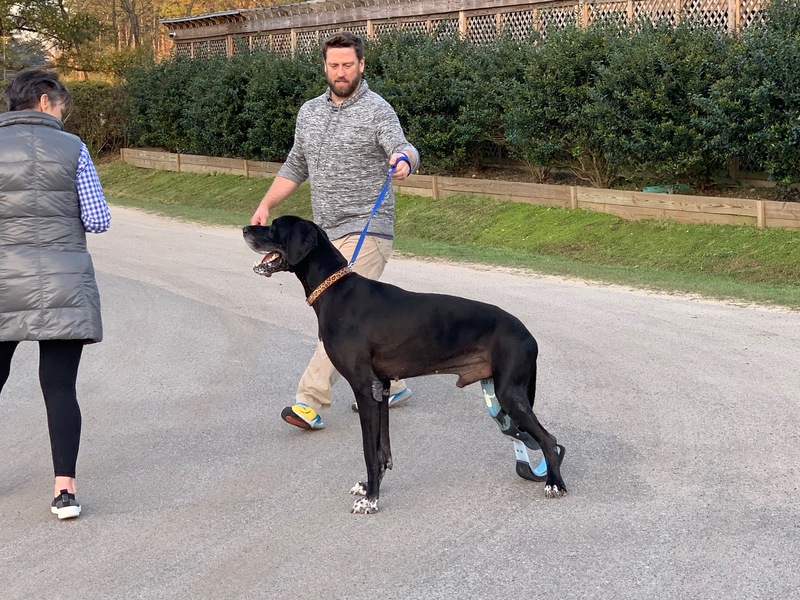 We immediately put someone on the road. 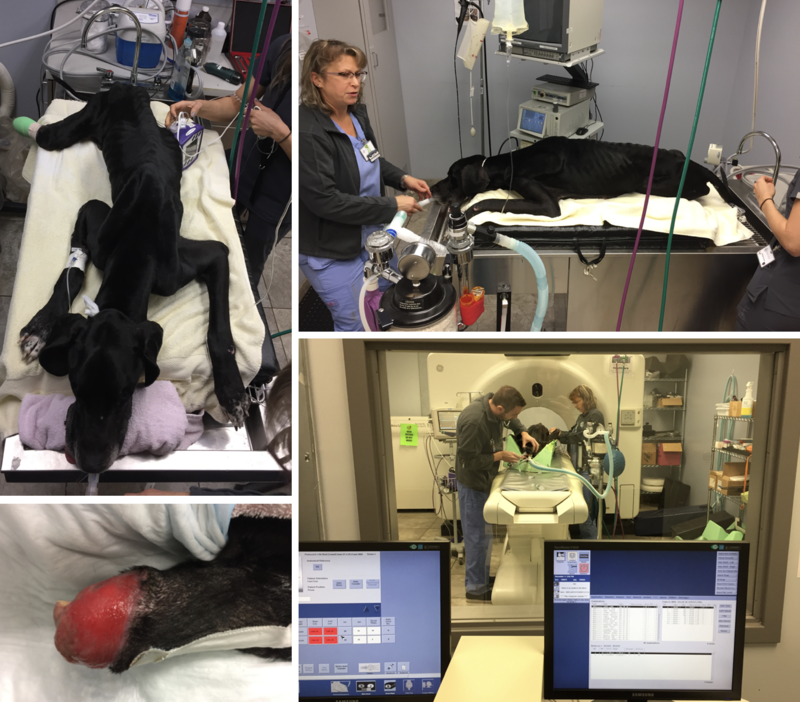 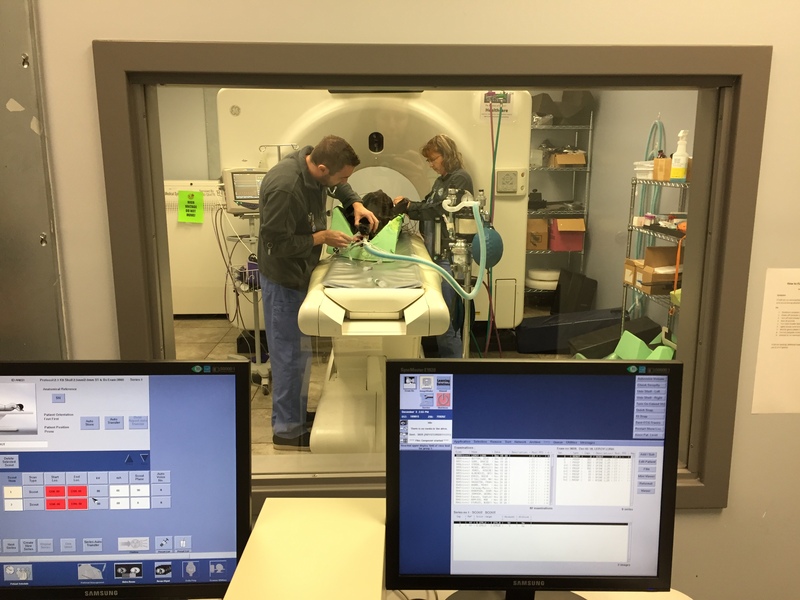 By the time the Transporter had arrived at ICU, he had three critical care cases we had picked up along the way. 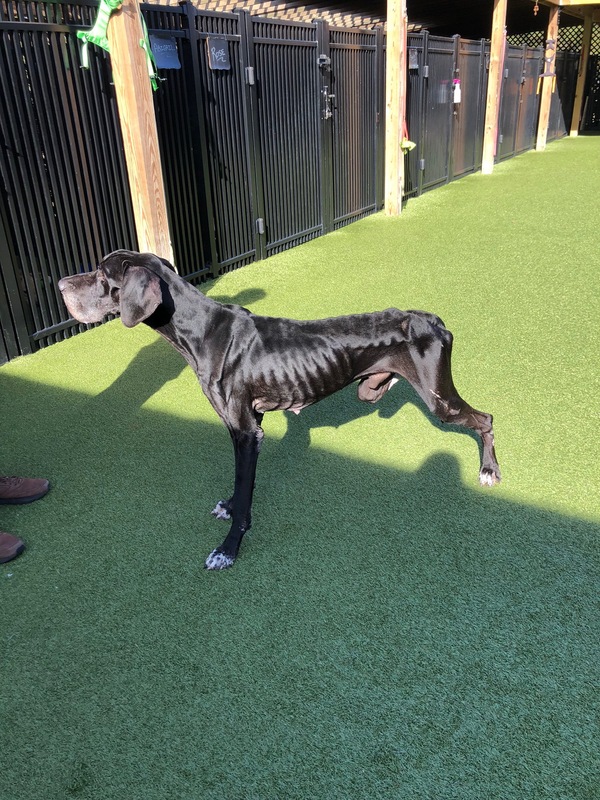 Luke is in horrible shape. 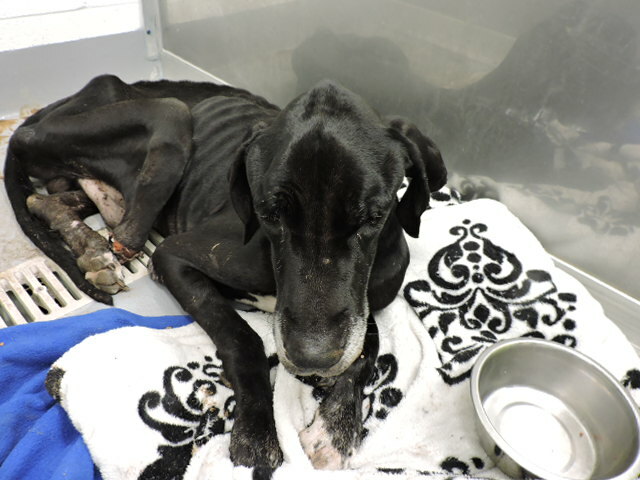 He is starved and had substantial blood loss we are assuming based on how anemic he is. 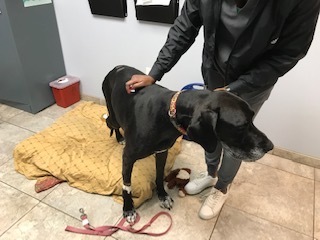 He could not stand at all when he was initially picked up but has regained a little bit of strength since being in ICU. 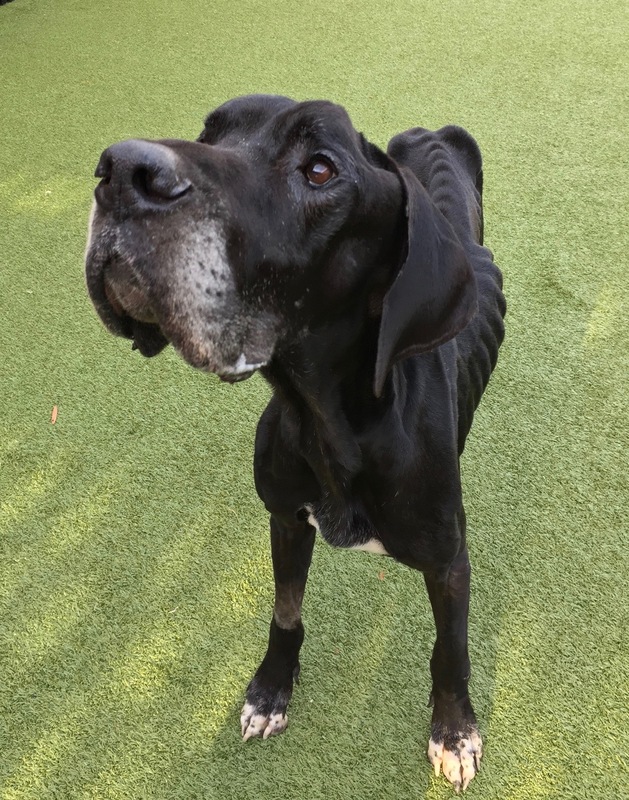 Our biggest concern is him developing Re-Feeding Syndrome. 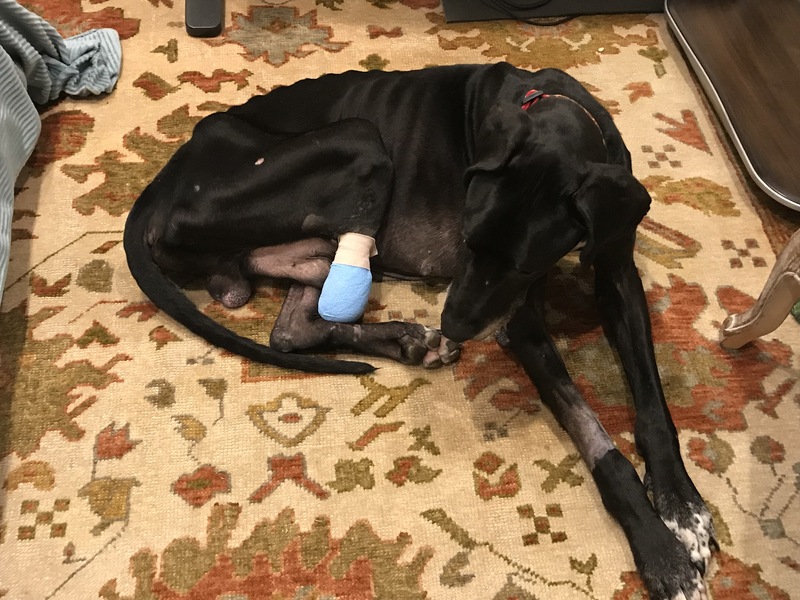 We were hoping he would be out of danger by now but unfortunately, he is not, and it is a growing concern each day that his values get out of balance. 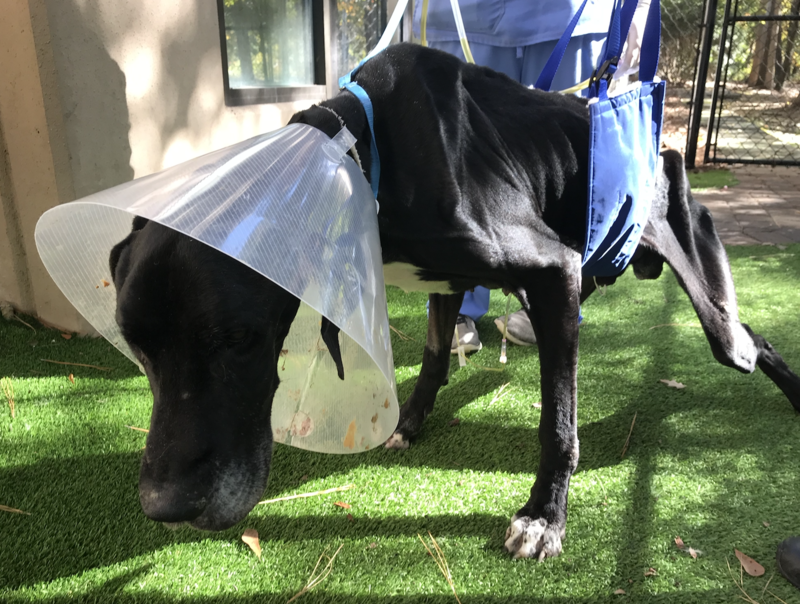 He is getting lots of tiny meals throughout the day to prevent this, but so far his body has not responded as we had hoped. 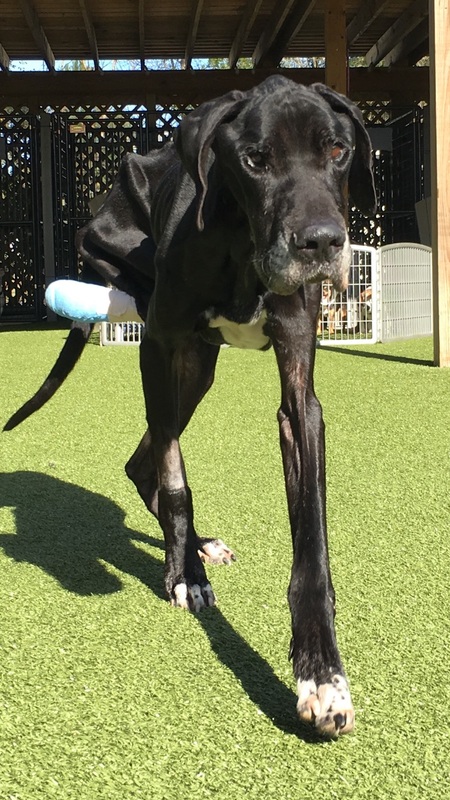 Luke is so Critical that we cannot even make plans to remove his leg. 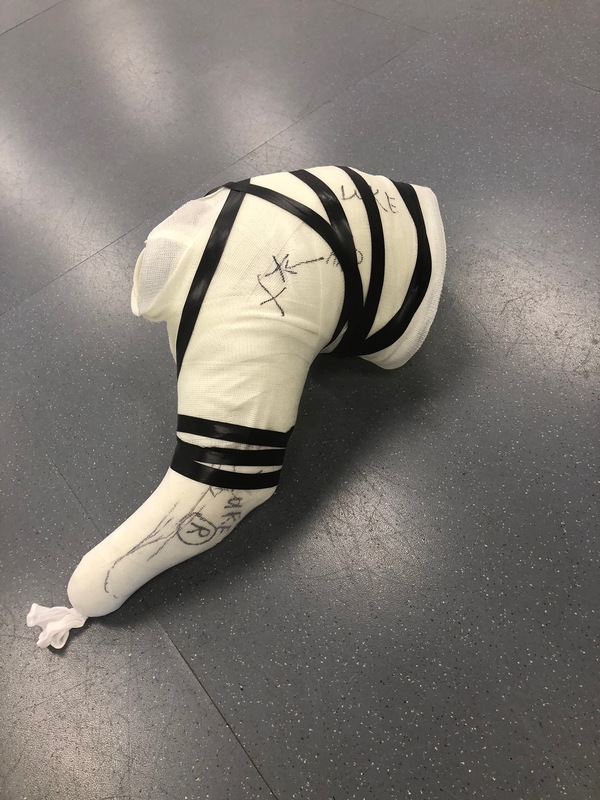 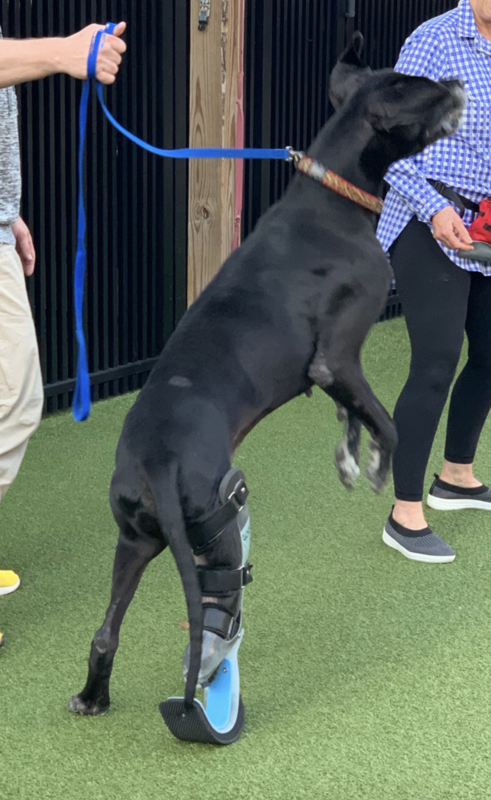 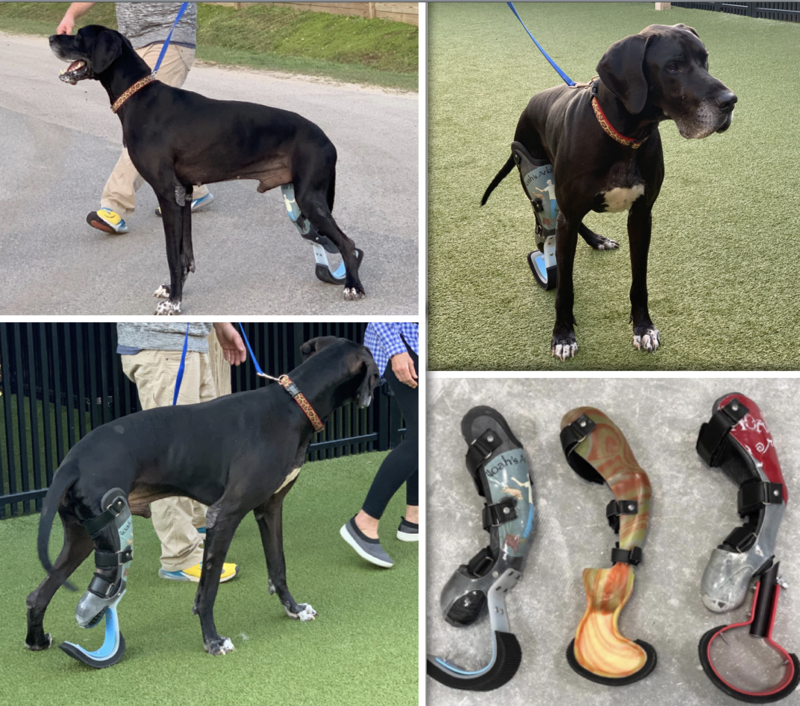 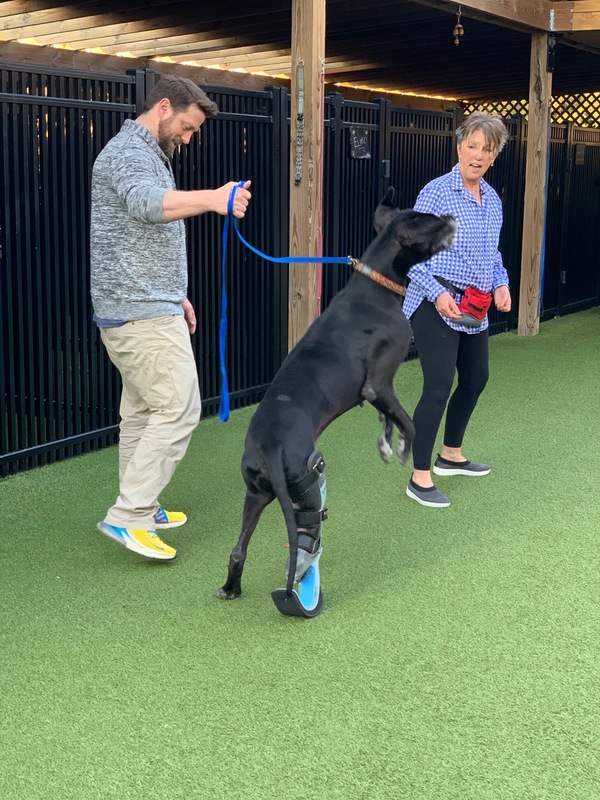 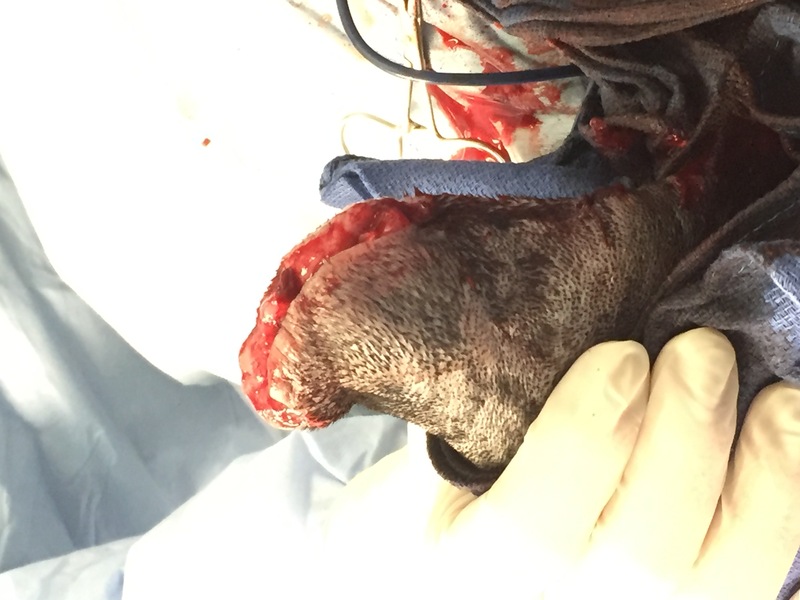 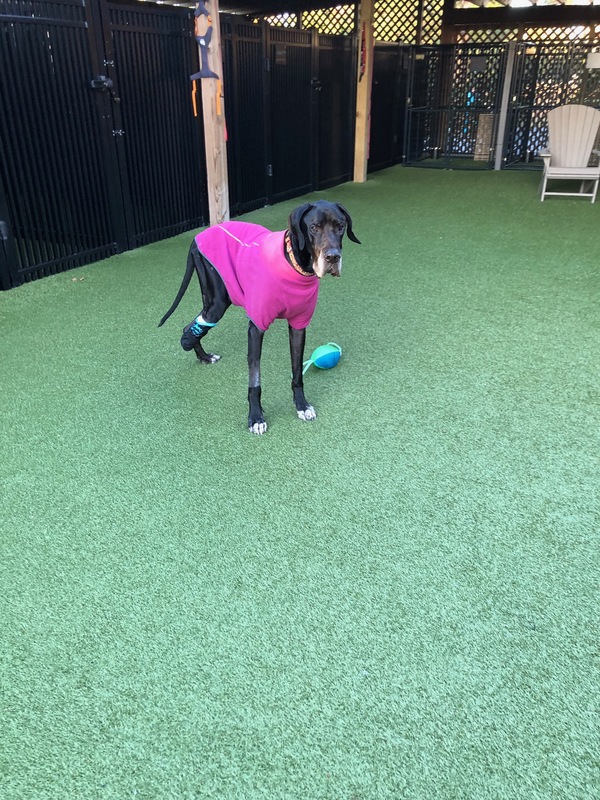 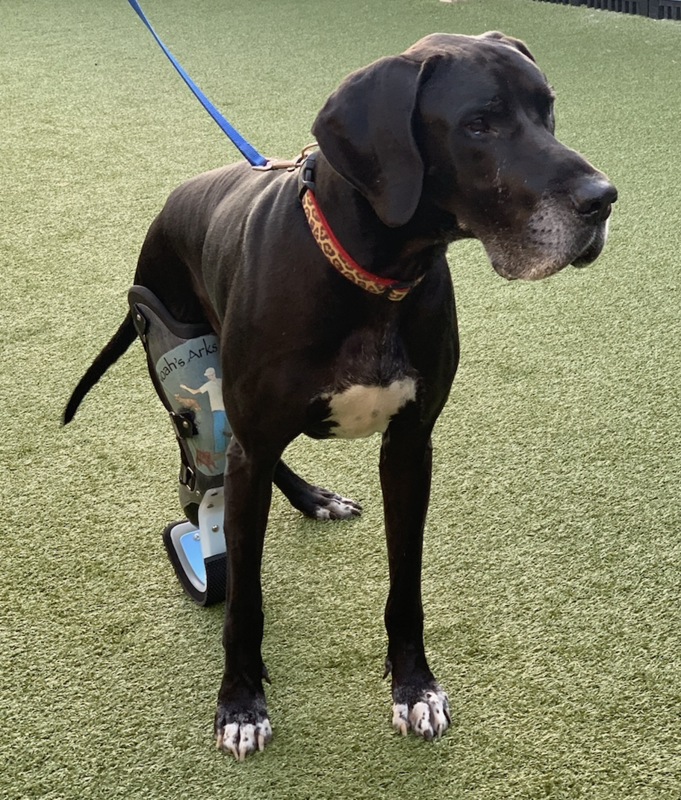 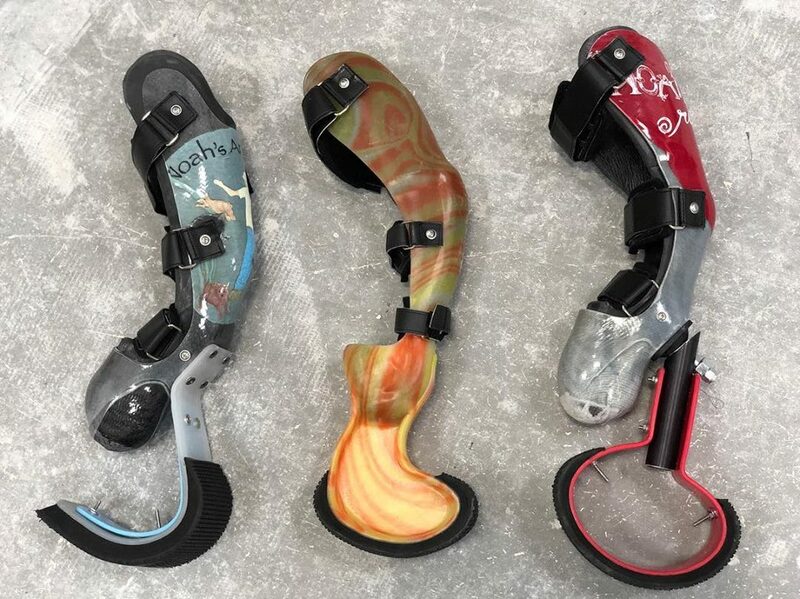 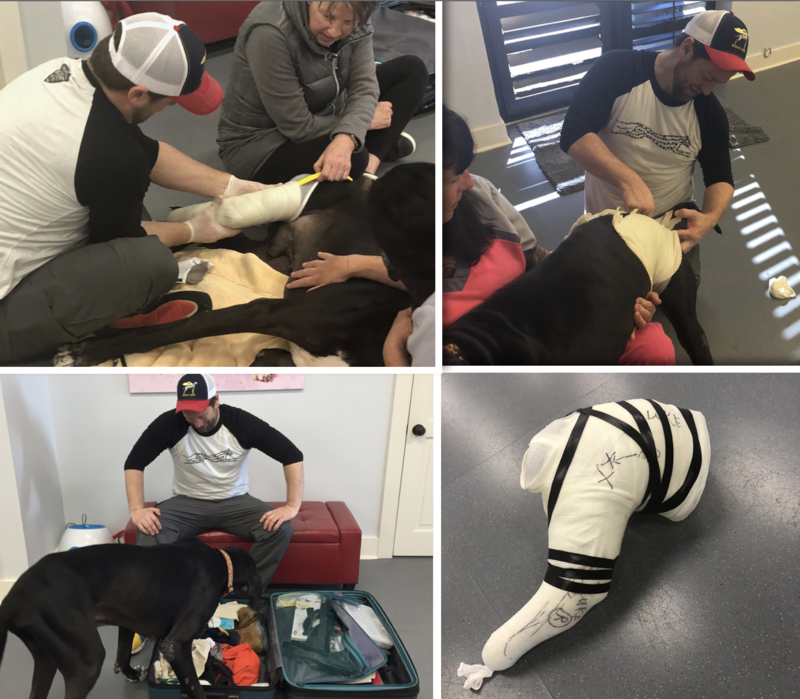 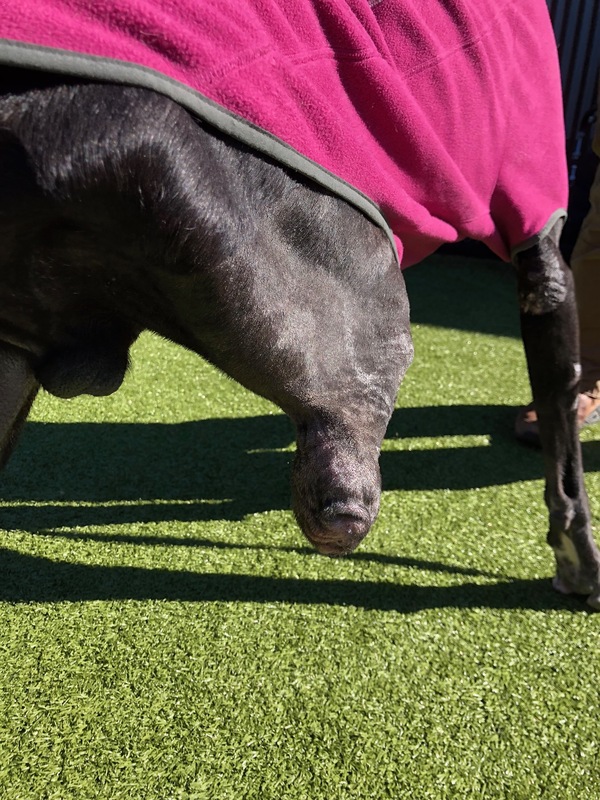 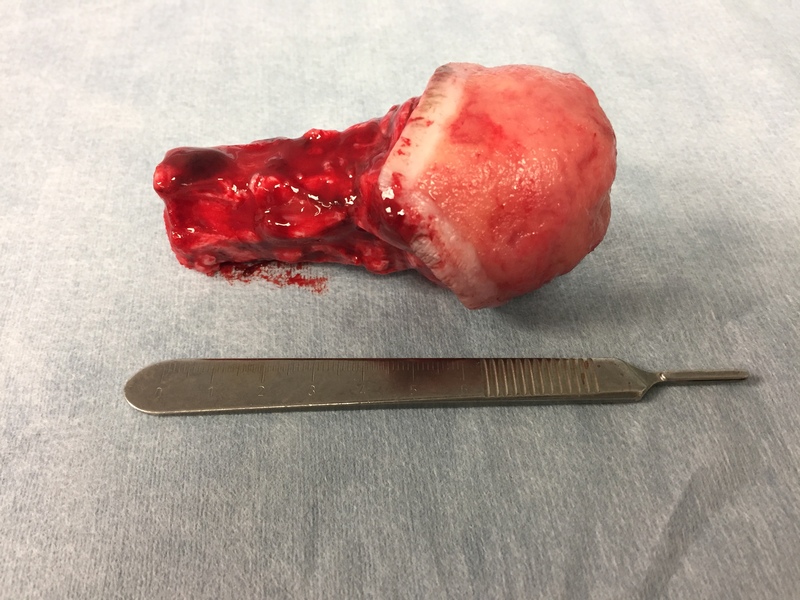 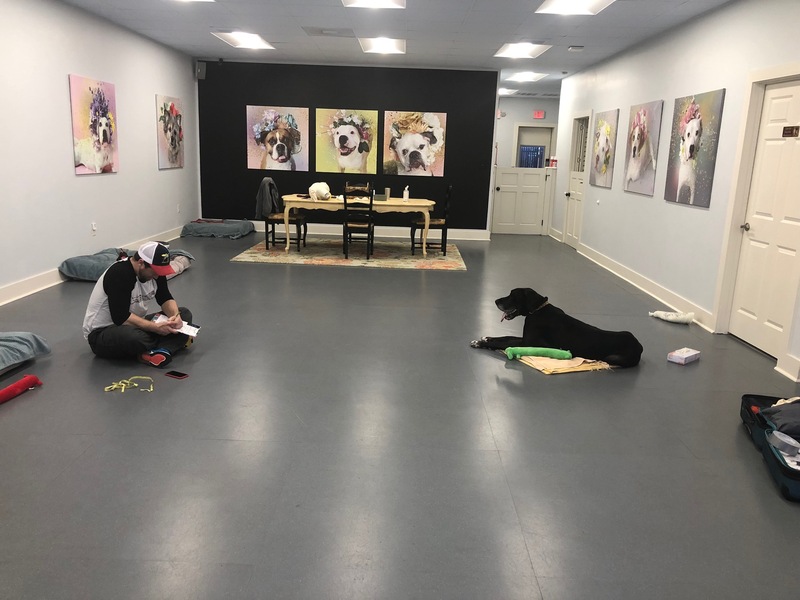 We were hoping we could have a prosthetic made, but he is missing a critical part of the leg that would enable that to work comfortably for him. 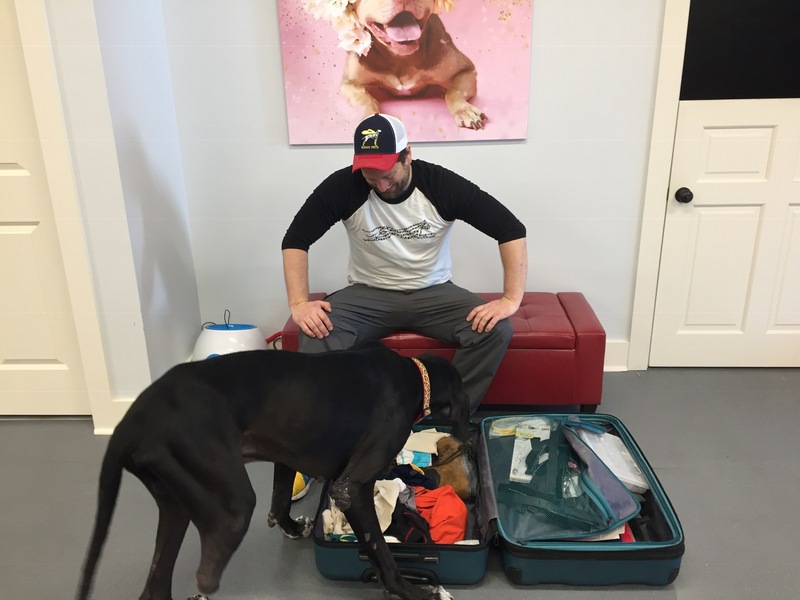 Luke only weights 70 pounds and should be close to 140 pounds. 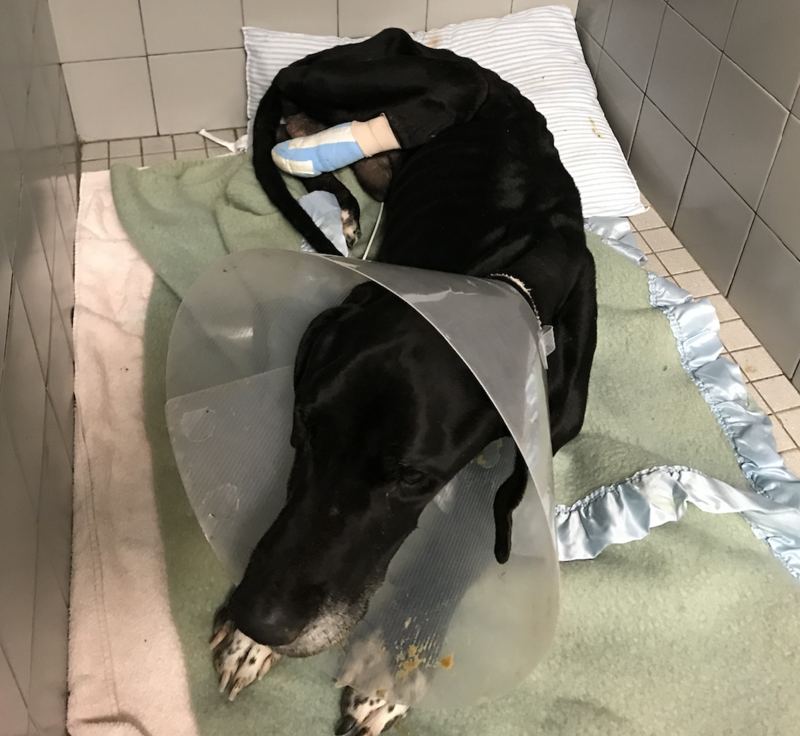 We also do not have a clue about his personality because he is so sick. 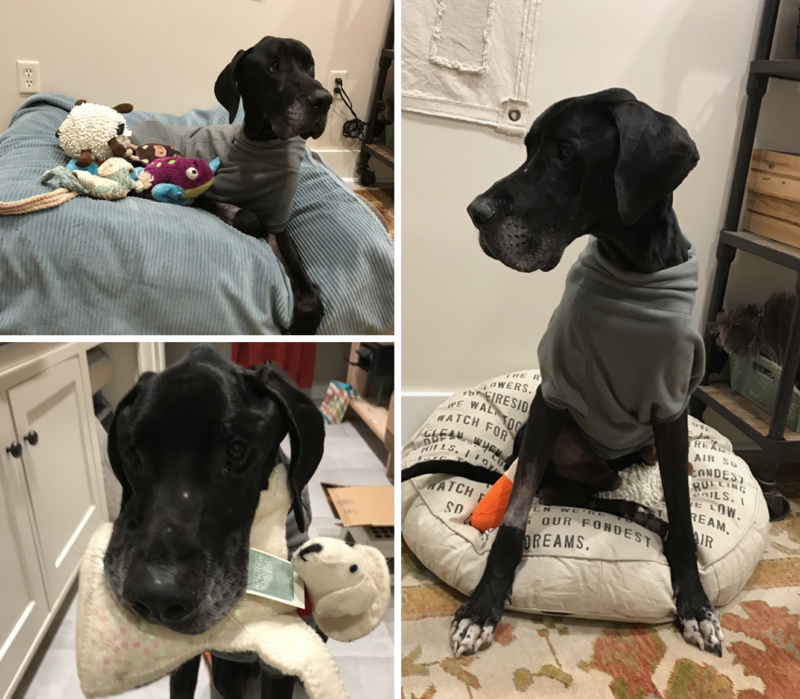 So far, he has been very sweet. 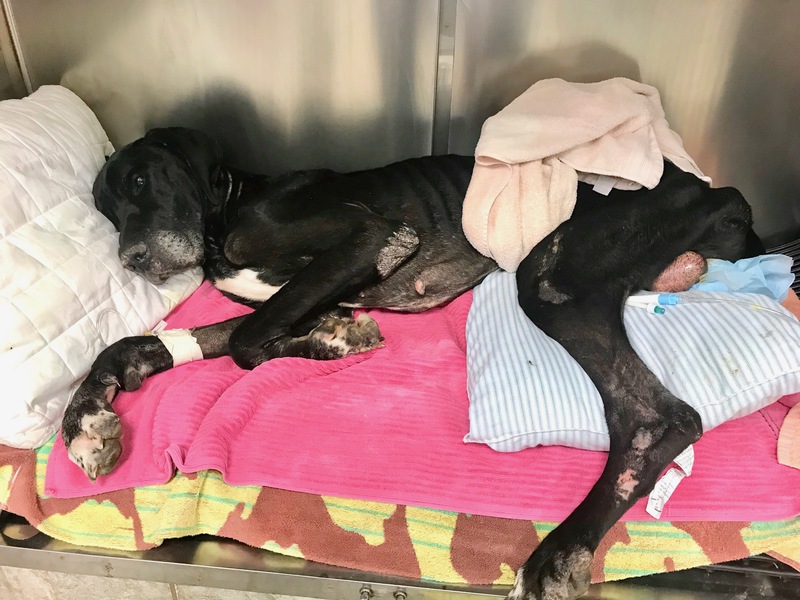 The bills are mounting, and Amex is calling, DONATE as much as you can as often as you can for every animal we send around. 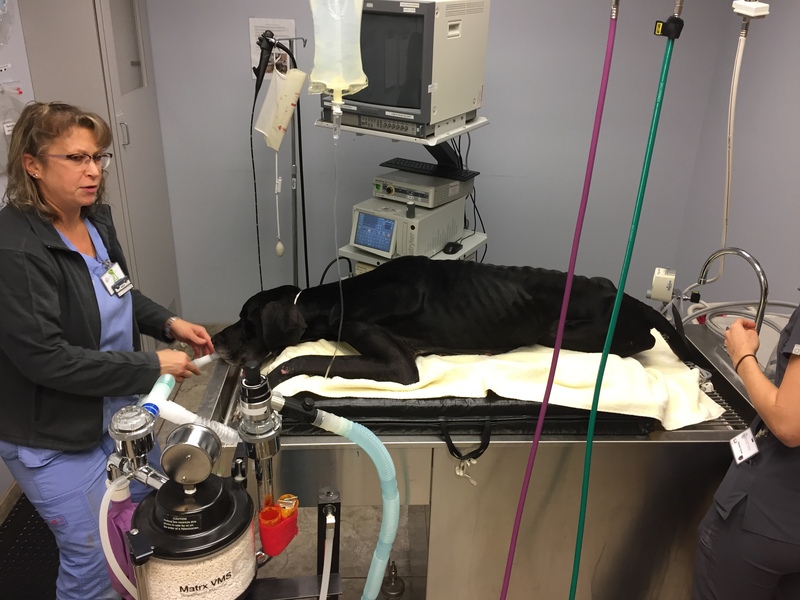 We are desperate for funds to keep each animal in ICU until we can get them moved. 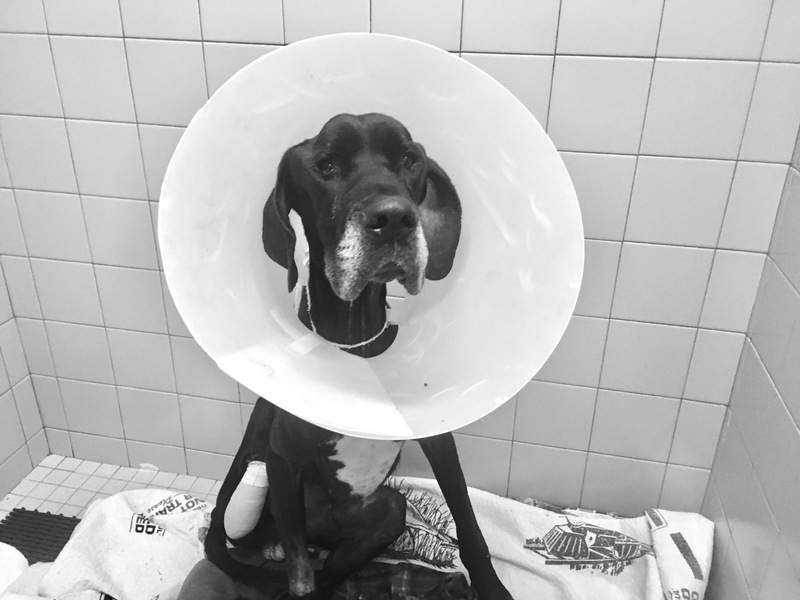 Thanks for being our Guardian Angel and support system. 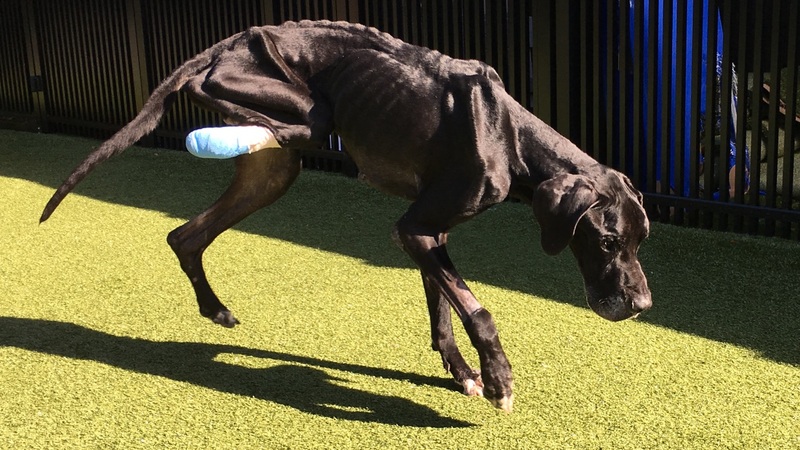 The next six weeks are going to be non-stop Abuse Cases.